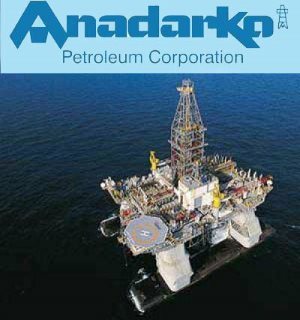 Anadarko Mozambique Area 1, LTDA, a wholly owned subsidiary of Anadarko Petroleum, has on behalf of the co-venturers in Mozambique’s Offshore Area 1, selected the consortium consisting of TechnipFMC and VanOord as the preferred tenderer for the EPCI of the offshore subsea system for its Mozambique LNG project. After an inspiring, exciting and gruelling six-month challenge, innovators Smartipants were awarded first place in the Maritime Youth Innovation Challenge at the prize-giving awards ceremony held recently. Four young South Africans, recruited by MSC Cruises among a large group to work on board cruise ships abroad, have been arrested in Miami on charges of smuggling cocaine. The four, identified as Wandile Mhlongo, Londiwe Shange, Viwe Tshaka and Thembeka Sokhulu, were detained along with three other Jamaican crew members on similar charges. The arrest took place last month after the cruise ship MSC SEASIDE docked in Miami following a visit to Jamaica and other destinations in the Caribbean. Tshaka comes from Lusikisiki in the Eastern Cape, where a large number of recruits have recently joined MSC Cruises’ ships across the world. The other three ladies are from Durban. 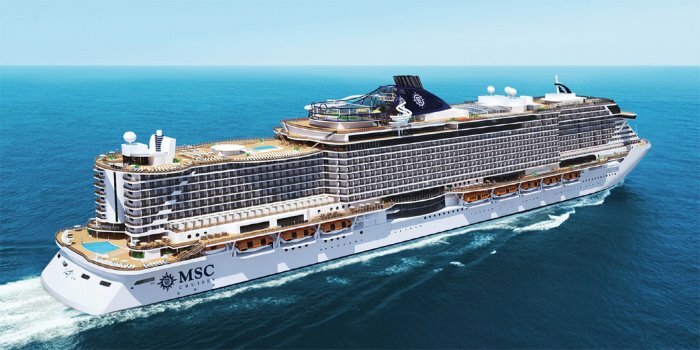 US Customs and Border Protection (CBP) officers boarded the MSC Seaside and “busted a drug smuggling ring” according to American reports. 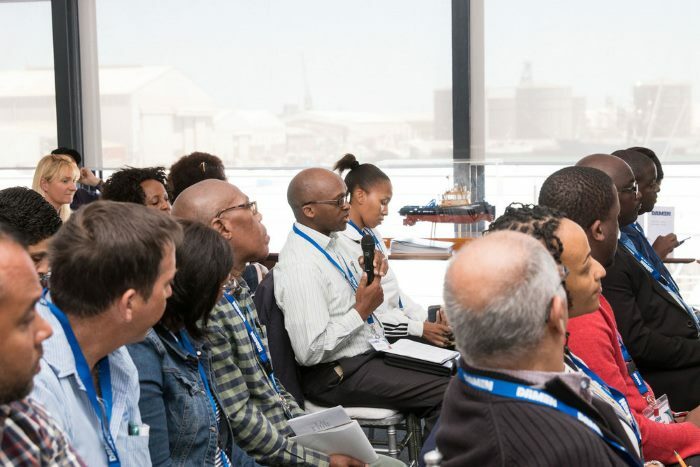 Damen’s first Fishing Seminar, held in Cape Town, has been called a great success, with more than 60 participants attending from a broad cross-section of the industry, including the five major South African fishing companies. 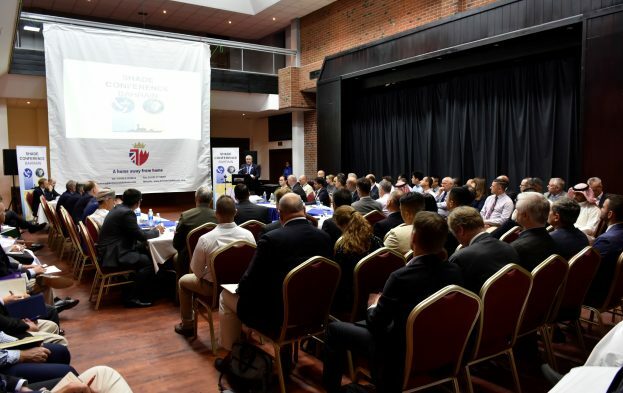 “The event was a good opportunity for different stakeholders from various sides of the industry to come together – to engage, listen and understand the current operating environment and various push and pull factors such as the cost of doing business, etc. 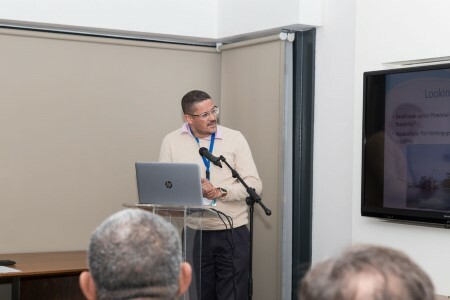 It was a very informative day,” said Jeremy Marillier, Executive Director of FishSA, the representative of the main industry associations in South Africa. Marillier added that the fishing industry would welcome more information days like these. The Fishing Seminar, held on 22 November 2018 at Damen Shipyards Cape Town, was also chosen to launch Damen’s new fund, ‘Africa Ship Leasing’. 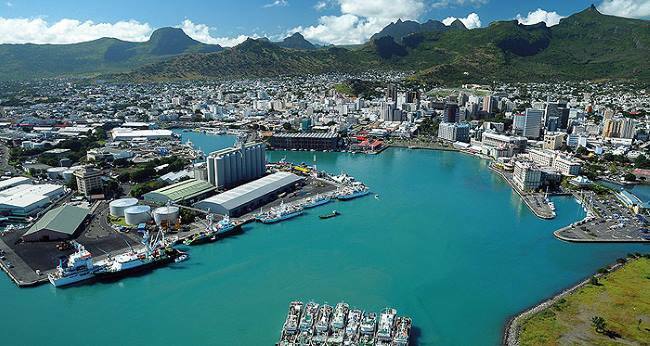 “Damen wants to show how it can support the fishing community, both in terms of maintaining the existing fleet and also through the fund, which can help them develop their fleet and potentially replace ageing vessels,” said Benny Bhali, Sales and Marketing Executive at Damen Shipyards Cape Town. He pointed out that it appeared clear that these issues are of interest in other parts of southern Africa as companies from Namibia and Mozambique also attended. Participants also had a tour of Damen Shipyards Cape Town to highlight the advantages of building vessels ‘in Africa for Africa’. “We can show shipowners what is possible and how we can help them grow their business,” Bhali said. “Although fishing companies are awarded their quotas, it is not always easy for them to get local financing for investments in their fleet, so the Damen Fund enables them to tap into the international financing market. Damen has delivered more than 1,200 vessels to customers in Africa over the years. Africa Ship Leasing was established in May 2018 and is already assisting owners in both Nigeria and Angola, with each lease agreement being tailormade. The customer begins by chartering the vessel for a certain number of years, while at the same time repaying the loan and the applicable interest. They then have the option to purchase the vessel during the tenor of the agreement and the obligation after the repayment period. 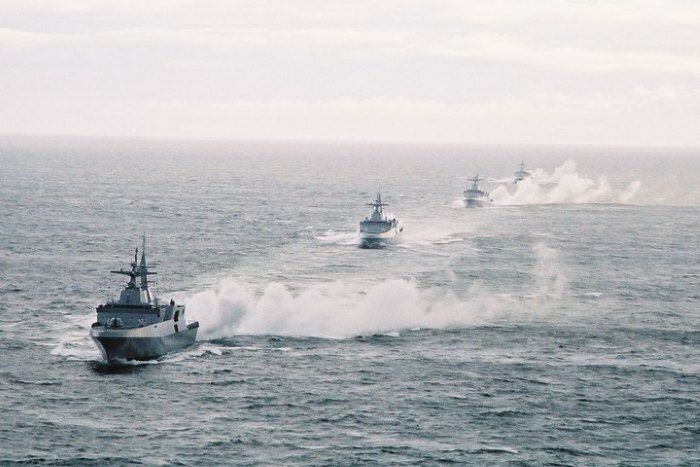 To date, Damen has constructed and delivered 40 vessels to the African continent from its base in Cape Town, including offshore patrol vessels, dredgers, tugs, naval craft and platform supply vessels, some of which have been built for stock in order to ensure fast delivery. The DSCT Services & Repairs department has provided training, delivery, maintenance & repairs assistance to countries across the globe and especially to African countries seeking to source high quality services from South Africa. DSCT has a well-established Apprenticeship Training Centre which is accredited by MerSETA and ChietaSETA. Apprentices selected for the Apprenticeship Training Centre program have the opportunity to obtain the necessary skills in order to achieve artisan status in Welding, Boiler Making, Pipe Fitting or Electrical and they are provided with a job opportunity at the same time. The first, second and third year apprentices are productive on the shop floor under the mentorship of qualified artisans until they pass their Trade Test. Once qualified, all apprentices have the opportunity to be absorbed into the business as artisans. To date, DSCT has trained 63 Apprentices of which 19 are female. DSCT’s Apprenticeship Training Centre is the true reflection of the yard’s commitment to the South African Government’s economic initiative, known as Operation Phakisa, which aims to reach the potential of the South African Maritime Sector, including shipbuilding, and to accelerate economic growth and job creation. 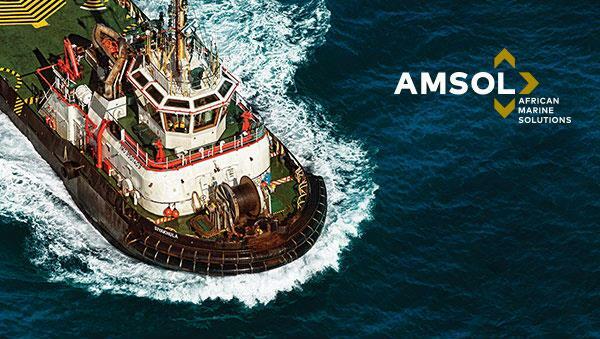 Damen Shipyards Group operates 35 shipbuilding and repair yards, employing 12,000 people worldwide and has delivered more than 6,000 vessels in more than 100 countries and delivers some 160 vessels annually to customers worldwide. A wide range of products, including tugs, workboats, naval and patrol vessels, high speed craft, cargo vessels, dredgers, vessels for the offshore industry, ferries, pontoons and superyachts are offered. 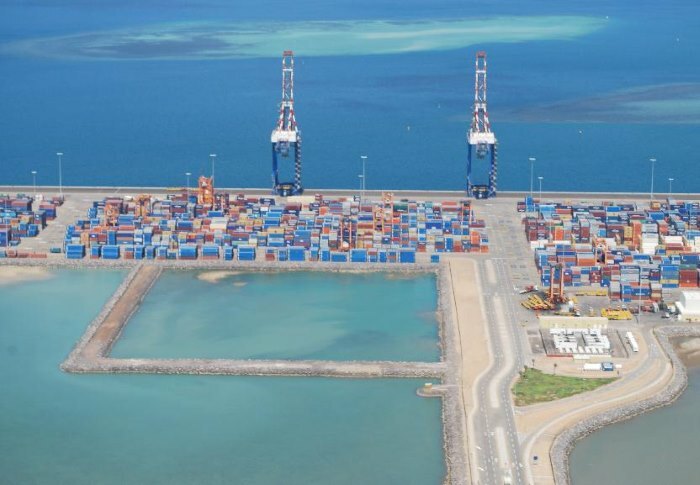 Djibouti, strategically situated in the Gulf of Aden and seldom out of the news for long this year, has announced the resumption of port service to South Sudan following what it calls the peace in the latter African country. 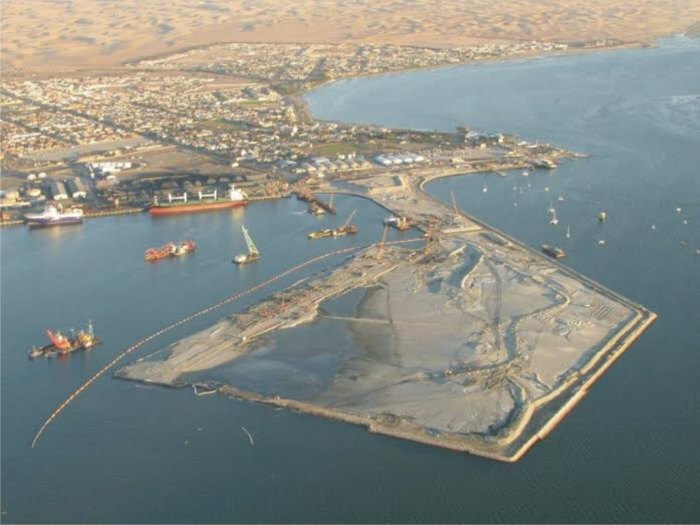 Djibouti’s Doraleh Multipurpose Port (DMP) CEO, Mr Wahib Daher Aden, said that just before the war in South Sudan broke out, Djibouti was serving South Sudan but had been forced to stop. “Now as peace is being restored in the country, we are going to…. Maersk said this week that in order to accelerate the transition to carbon neutral shipping, it was setting its goal to reach carbon neutrality by 2050. Trade and Industry Minister Rob Davies has welcomed Parliament’s ratification of the agreement establishing the African Continental Free Trade Area (AfCFTA). “The AfCFTA, comprises 55 African countries and, once entered into force, will constitute the largest Free Trade Area globally. “As a flagship project of the African Union’s Agenda 2063: The Africa We Want, the AfCFTA aims to build an integrated market in Africa that will see a market of over one billion people with a combined GDP of approximately US$3.3 trillion,” Davies said on Tuesday. “In support of these objectives, the AfCFTA Agreement covers both goods and services under Phase I and will include investment, intellectual property and competition under Phase II of the negotiations,” said Davies. Uganda has become the latest on the continent to submit the instruments of ratification of the African Continental Free Trade Area (AfCFTA). The development was confirmed by Moussa Faki Mahamat, the Chairperson of the African Union Commission (AU) who is hopeful that other countries would follow suit. As of July 2018, six countries had submitted ratification instruments – Ghana, Kenya, Rwanda, Niger, Chad, and Eswatini with the expectation that many more would do so before the end of the year. 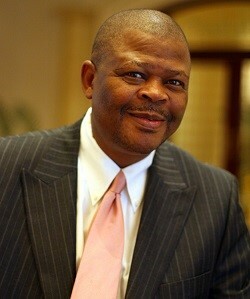 South Africa’s Parliament has just ratified the Agreement enabling its signing – see next story. 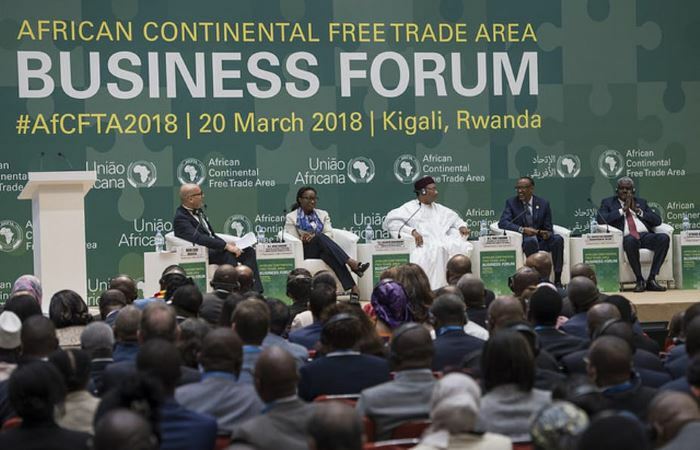 In March 2018, 44 African countries out of the 55 AU member states signed the vital continental free trade agreement in Kigali, Rwanda to enable the long-awaited economic integration and movement of goods and persons across member states. The agreement is meant to establish a single continental market for goods and services; enhance free movement of business persons and investments; enhance competitiveness at the industry and enterprise level through exploiting opportunities for full-scale production. It will also bring together the 1.2 billion African population with a combined gross domestic product (GDP) of more than US$2 trillion with the commitments of the countries to remove tariffs on 90 per cent of goods, with 10 per cent of “sensitive items” to be phased in later. However, 11 countries at the time did not sign the agreement for diverse reasons. The countries are Nigeria, South Africa (which later signed in July), Benin, Botswana, Burundi, Eritrea, Guinea-Bissau, Lesotho, Namibia, Sierra Leone and Zambia. One of the reasons for these countries not to sign is that they faced pressures from business leaders and labour unions who believe the agreement could affect their economies. In South Africa’s case there were legal reasons. Five more countries signed the AfCFTA at the African Union (AU) summit in Mauritania in June, bringing the total number of countries committing to the agreement to 49 by the end of July. For the agreement to take effect, at least 22 countries must submit instruments of ratification to commence the process. Depositing the instruments of ratification means the country has undertaken all required internal legislative and legal measures in readiness to implement the agreement. During the signing of the agreement in March this year, African Union Member countries set a deadline of 180 days to ratify the agreement through their respective legislative bodies. 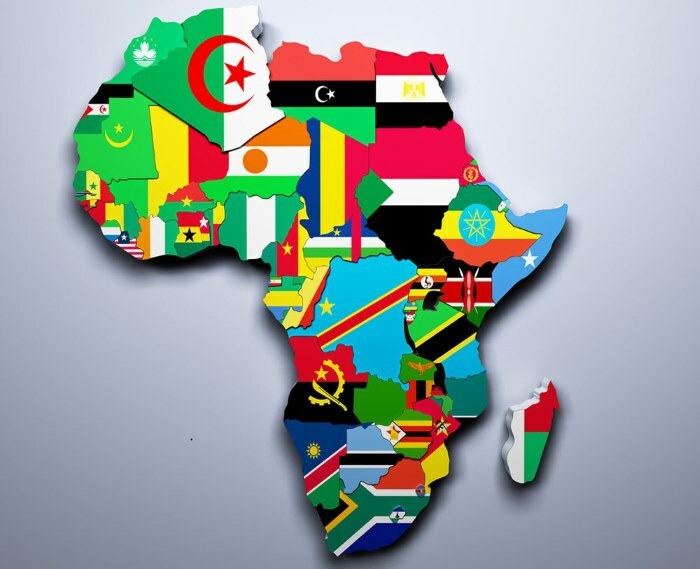 The UN Economic Commission for Africa’s (ECA) Conference recently urged African countries to speed up the ratification and adoption process of the agreement with reasons that it is a powerful tool for driving industrialisation, economic diversification and development. Ghana’s Deputy Minister of Transport, Daniel Titus-Glover has officially launched the Ghana Ship Suppliers Association. The association made up of ship chandlers has committed itself to making a significant impact in the maritime industry and in helping transform the port industry in Ghana. The Chief of the SA Navy, Vice Admiral Mosiwa Hlongwane, will officiate during the Junior Officer’s Graduation Parade in Gordon’s Bay on Friday, 7 December 2018. The parade takes place at 11h00. 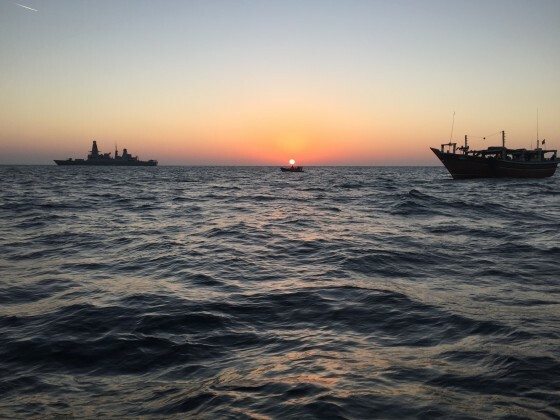 On Tuesday this week, 4 December 2018, EU NAVFOR’s Force Commander, Rear Admiral Alfonso Pérez de Nanclares handed back command of Operation Atalanta Forces to the Operational Headquarters in Djibouti. 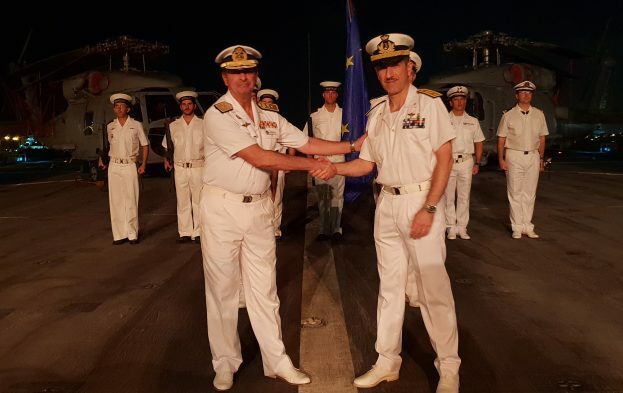 The Change of Command Ceremony took place during a reception held on board ESPS Castilla on the occasion of 10 years of continued presence of EU NAVFOR in the Western Indian Ocean. 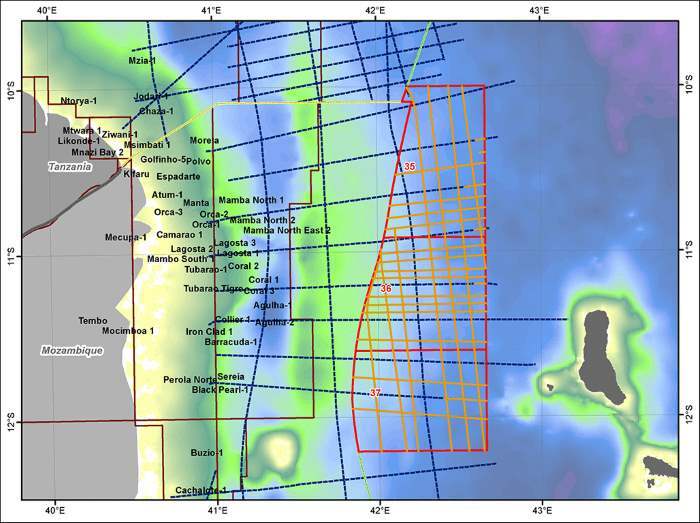 Tullow Oil, the multinational oil and gas exploration company from Tullow in Ireland but now headquartered in London, has signed a binding agreement with Discover Exploration Comoros for a 35% working interest in Blocks 35, 36 and 37 offshore the Comoros in the northern Mozambique Channel. The Transnet Board of Directors and its top management held a board strategy workshop in Limpopo last week, where a new strategy to take the company forward was crafted. The central theme and thrust of the strategy workshop was to review the deteriorating financial and operational performance of Transnet. The Board also agreed on key strategic interventions to arrest the decline and craft a new growth trajectory. The board of directors said they wish to share with the South African public the key decisions flowing from the workshop to urgently reorganise and rationalise Transnet’s operating model and corporate structure adopted by both the board and executive management. * The first resolution is on the principles for the corporate design of a new operating model underpinned by financial sustainability, customer centricity and operational excellence. * The second resolution is to sub-delegate and mandate the Acting Group Chief Executive, Mr Tau Morwe to develop a revised operating model, corporate structure and new Group Executive including its supporting implementation strategy for submission to the Board by latest end of February 2019. * The third resolution was the dissolution of the current Group Leadership Team (GLT) and its replacement by an interim group executive team – until the new Executive Committee is established in terms of the new operating model and corporate structure. In a statement the Board said it is confident that the new strategy will assist in positioning Transnet in a trajectory that will contribute to a growing economy. “This will stimulate economic growth and achieve economic efficiency in the movement of goods across the country,” said chairman Mr Popo Molefe. The strategy workshop follows closely behind the dismissal of former Transnet Group Chief Executive Mr Siyabonga Gama and the suspension of several other key executives linked to several scandals, notably one concerning the purchase of over a thousand locomotives from various manufacturers. It is claimed that hefty kickbacks amounting to billions of Rands resulted from contracts awarded to a Chinese locomotive builder. South Africa, economy recovering from recession, or just an interlude? 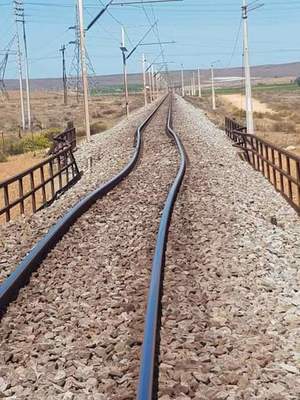 The strategic iron ore railway line between Sishen in the Northern Cape and the port of Saldanha is to be reopened to traffic on Monday 9 December 2018, Transnet has confirmed. 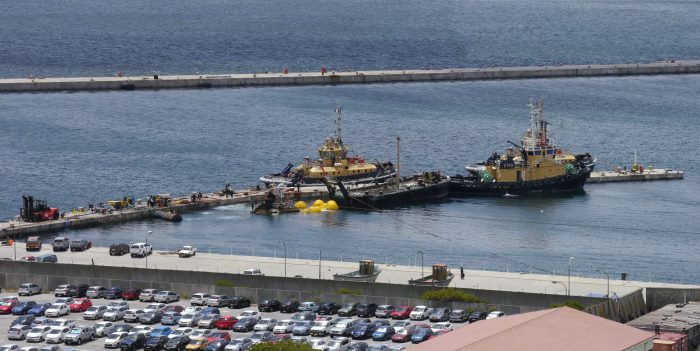 After the SA Navy tug DE MIST, which is awaiting disposal, sank at her moorings on Saturday 10 November (see our report CLICK HERE), she settled on her port side in between 8 and 10 metres os water in the Still Water Basin of the navy base at Simon’s Town. 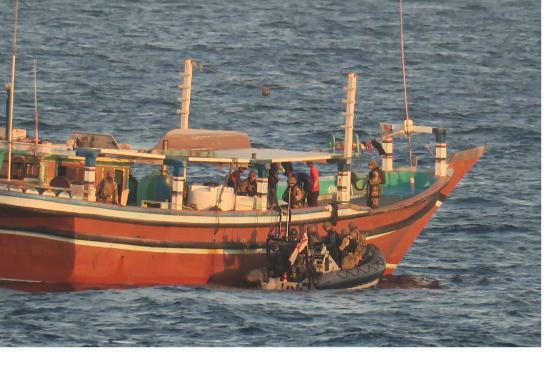 The navy took the decision to salvage the tug themselves and have since been engaged on this mission. After attaching lifting bags to one side of the tug they managed to roll her onto the other side to which bags were then fitted, allowing the tug to come to a more upright position, albeit with an angle of about 30 degrees to starboard. Divers could then work on both sides of the vessel. The navy divers then began closing all vents and watertight hatches inside the tug to make her as airtight as possible. The Mooring Lighter is a key component of the operation to raise the sunken tug. This vessel was built for the British Admiralty in 1900 by Fleming & Ferguson at their Phoenix shipbuilding yard at Paisley, Scotland, United Kingdom. She was then disassembled into sections and shipped from Deptford, London, to Simon’s Town where she was reassembled. It is 116 years since she was commissioned for service with the King’s Harbour Master’s Department in Simon’s Town, on 19 February 1902. Originally steam powered, she now has diesel-hydraulic capstans and winches; however, these have not been used; instead, the tug ZTAG Umalusi has been positioned stern-to-stern and the Umalusi’s towing winch cable is being used (via the sheaves atop the Mooring Lighter’s horns) to lift the bow of the De Mist. Two spare crown anchor buoys have been pressed into service as flotation devices at the De Mist’s stern, which is still submerged in these photos. 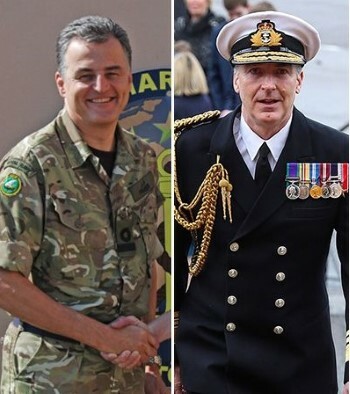 The UK and Ukraine will continue to strengthen their defence partnership in the face of intensifying threats and aggression, the Defence Secretary reaffirmed on 21 November. 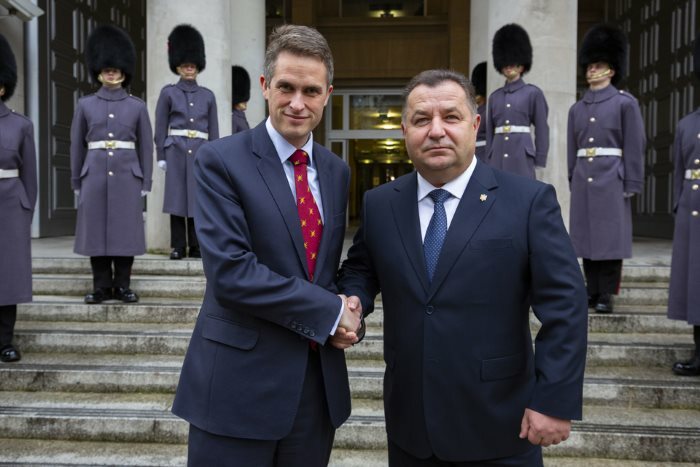 Defence Secretary Gavin Williamson said: “As long as Ukraine faces Russian hostilities, it will find a steadfast partner in the United Kingdom. By continuing to work together, whether through training programmes or military exercises, we help Ukraine to stand up for our shared values. 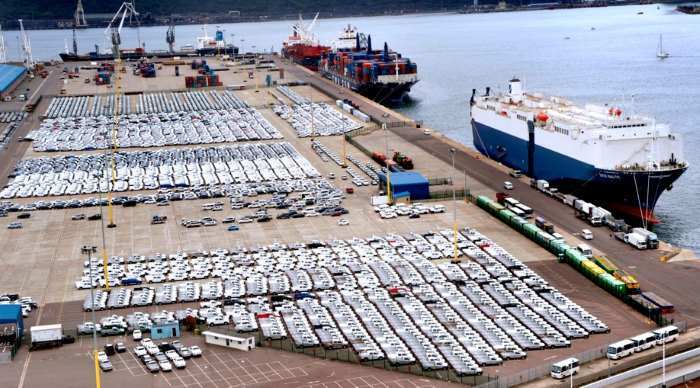 Transnet Port Terminals (TPT) has rolled-out an Automated Service Instruction entry (SIE) system which uses a portal and/or electronic data interface (EDI) to all its Durban Automotive customers, abandoning the manual processing of paperwork for the export, import and transshipment of vehicles. 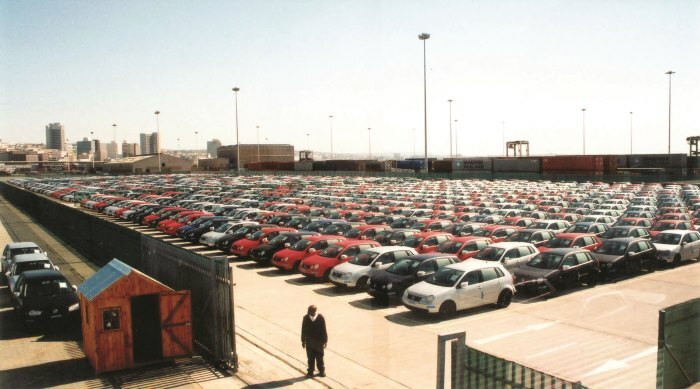 More than one hundred TPT customers, supply chain partners and various other stakeholders in KwaZulu-Natal, Gauteng and beyond South Africa’s borders who utilise the Durban Car Terminal will have the ability to exchange information at an improved speed including Original Equipment Manufacturers, second hand car dealers and their Clearing and Forwarding agents. This follows a pilot on the portal with Original Equipment Manufacturer Toyota South Africa Motors. “Our current Transnet 4.0 strategy places a huge emphasis on how we maximize the digital environment to make the life of the customer simpler while reducing the cost of doing business and SIE automation is another way we are attempting that,” says TPT General Manager for Sales and New Business Siyabonga Mhlaluka. He added that the benefits of the automation will reduce document processing time from 72 to 24 hours, making it possible for customers to continue production and shipping as close to vessel sailing times as possible – something that could not happen before. Another benefit is that time previously spent by customer resources manually capturing data, going in and out offices to submit documents is now used to maximise resource capacity and enhance productivity. Digital always ensures the reduction in operational expenditure due to less printing and storage costs associated with paper with the benefit of electronically having access to records of all transactions, whenever required. SIE automation was developed by in-house resources within TPT’s Information Technology and Communications department. Ultimately the system will create flexibility and capacity planning in the port, and will launch fully in East London and Port Elizabeth in February next year. TPT has previously created a web-based General Cargo Operating System called GCOS which enhances security of break bulk cargo and automotive, offers simple user interface and greater data integrity compared to the old manual method. GCOS is a commercial product that some of the West African ports are already using. 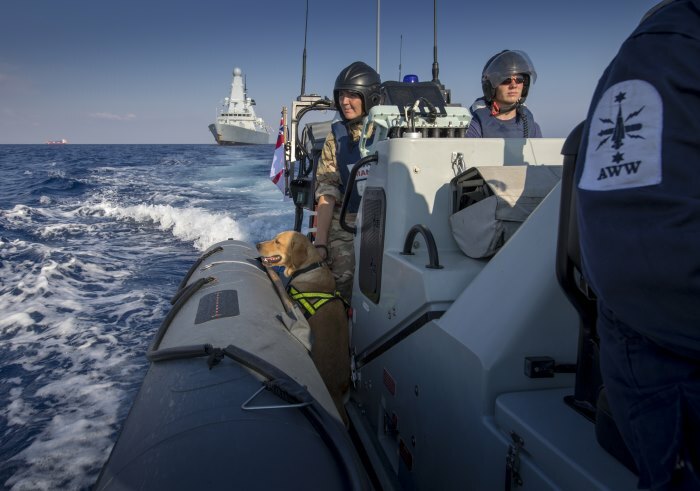 Personnel from across British Forces Cyprus played their part in supporting HMS DIAMOND during her short visit to Cyprus as a part of her wider mission in the Eastern Mediterranean. This was reported on 29 November. 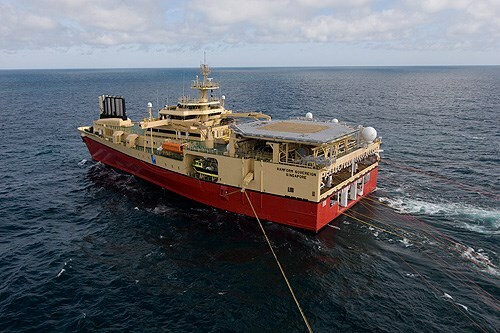 Seismic survey vessels similar to Ramform Sovereign (above) have been observed in operations of the South Africa East Coast. In January 2018, environmental consultant ERM (Environmental Resources Management) submitted an Environmental Impact Assessment (EIA) application on behalf of Italian oil company Eni seeking environmental authorisation to drill up to six deep water wells offshore of the East Coast of South Africa (Block ER236) in water depths up to 3000m. On 17 September ERM notified interested and affected parties that a new EIA process approved by the Petroleum Agency of South Africa (PASA) had commenced, and a draft EIA report was made available for public comment. Published in 2013 and still available from the publisher’s catalogue is this compendium devoted to a valuable class of cargo ship that has been the mainstay of many a mercantile marine for more than three generations and trading in every ocean. Generally the type was an ocean-going, steam- or diesel-powered dry cargo ship of up to 10,000 tons gross and of from 270ft to 550 ft loa with an adequate cruising speed of ten knots. We all know what a tramp ship is. To some it was seen as the taxi of the seas. As a cargo ship the tramp was not confined to any particular route but carried cargo anywhere that was convenient and profitable. 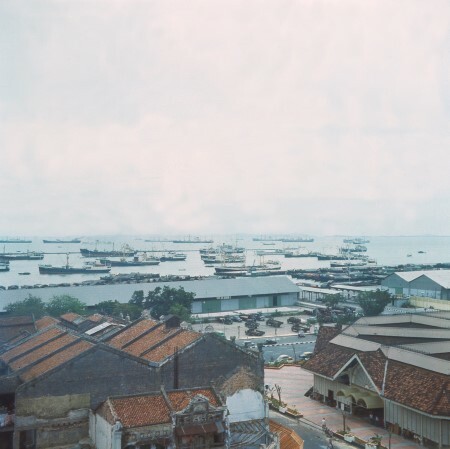 There were no regular schedules, it steamed everywhere, loading and discharging cargoes, often bulk cargoes such as coal, grain, timber, china clay and oil. In his book, written only three years after the Armistice, Hurd pointed out that of the British (and Empire) steam tonnage in pre-war days more than 50% was provided by the tramp fleet. 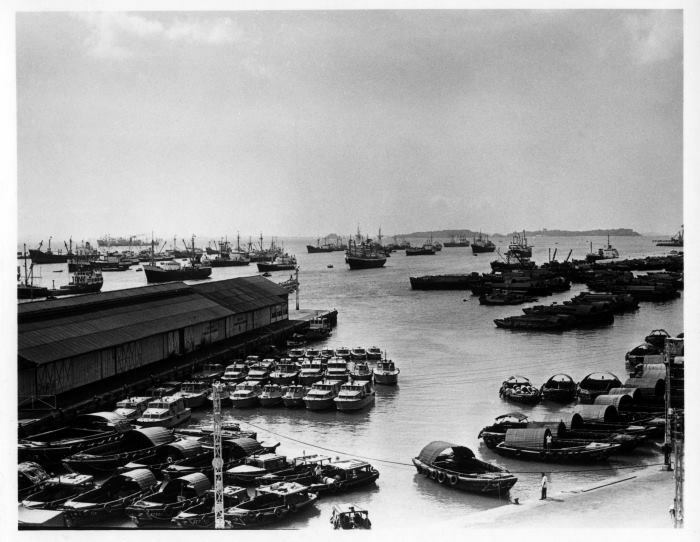 Spot the tramps: Singapore Inner Roads, 1970, where vessels anchor for stores, fresh water, bunkers, crew change, cargoes, orders and even sale. There may have been a depression between the wars but by 1938 there was an uplift in trade bringing many tramps much-needed cargoes and in that year Britain exported, for example, 38 million tons of coal – about half the highest level of 1913**. However, it was the older and slower vessels that tended to find their way into this trade, hence the tag ‘tramp’ although new tramps were built, often with the owner’s eye on chartering to the liner companies. 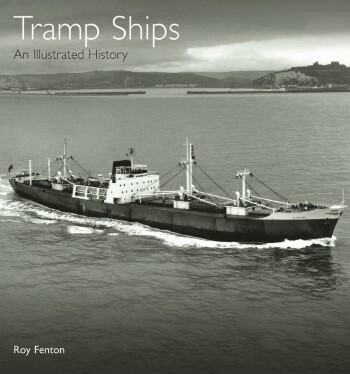 Over 13 chapters in this volume by the well-known shipping author Roy Fenton***, the tramp ship’s evolution is described over the course of more than 100 years, from the 1860s, when the steam tramp ship developed from the screw collier, until it was largely replaced by the specialist bulk carrier in the 1980s. Here an introduction looks at the design and building of tramps. Then follows a description of vessel’s machinery, from simple triple-expansion turbines to diesel engines. Regarding steam, it has been recorded that a reheated triple-expansion engine fitted in a 10,000 ton tramp ship was capable of moving each ton of cargo one mile on the energy developed by burning half an ounce of coal. Tramp ship operation and management and the life of the officers and crews are also covered here along with the ships’ design features being highlighted and notes on machinery included. The meat of the book is to be found in the 300 wonderfully evocative photographs of individual ships which illustrate the development of the tramp and its trades through the last years of the 19th century, the two World Wars, and the post war years with Liberty ship replacements. All are supported by a lengthy index of ship-names. Each picture caption provides the reader with the dimensions of the vessel, the owners and the builder and then goes on to outline the ship’s career, with notes on trades and how they changed over a ship’s lifetime. Lives, varied, ended nearly always sadly by collision, grounding, foundering, by enemy action or of demolition and scrap. To close there is an important bibliography with close on a hundred titles for further research into this fascinating subject. 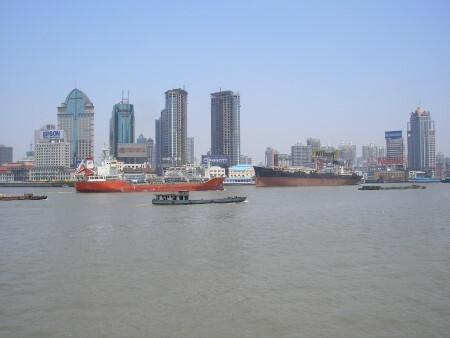 Shanghai, 2006. Is the vessel beneath the Nikon advert an A&P SD 14, of 14,000 tonnes, built as a no frills modern tramp ship from 1967? Some of the class may still be afloat. But the tramp was not peculiar to the British and Empire Registers for vessels for this type of trading were designed, financed, built and operated by businesses in Scandinavia, Germany, Belgium, The Netherlands and France and there are plenty of examples shown in these pages. Fenton importantly includes hulls built for the COMECON states for Russia (or the USSR as we knew it). Without doubt this volume will become a classic work, to inspire all merchant ship enthusiasts and historians and once again we are able to appreciate the ships in which our forefathers sailed and earned a living. * Cassel and Company, 1921. ** The History of the British Merchant Navy, Volume Five, Fiddler’s Green, The Great Squandering: 1921-2010 By Richard Woodman, The History Press, Stroud, Glos. *** Roy Fenton is a full-time researcher and writer and the author of some 25 books on shipping history. His specialism is coastal trade in the steam era, and in 2005 he was awarded a PhD for a thesis on the transition from sail to steam in the coastal bulk trades. He is a former council member of the World Ship Society, – www.worldshipsociety.org and is still active in the organisation. 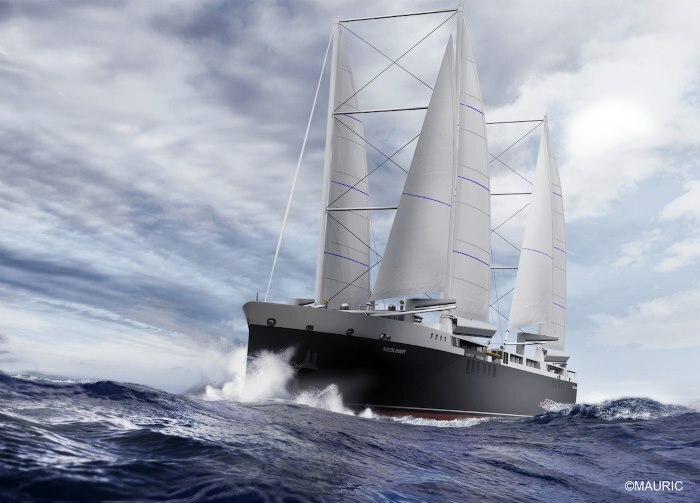 French carmaker Renault has revealed ambitious plans to build two wind-powered roll-on/roll-off vessels by as early as 2020. 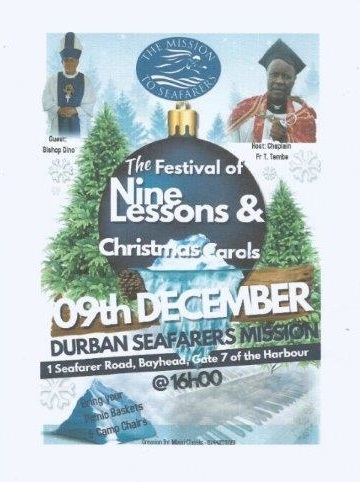 The Durban branch of the Mission to Seafarers will be holding its annual Festival of Nine Lessons and Christmas Carol service on Monday, 9 December at the Durban Seafarers Mission, Gate 7 off Bayhead Road, turn left into Langeberg Road (the road leading to the Durban Container Terminal) then the first left to 1 Seafarer Road. The time is from 16h00, ample parking on site. 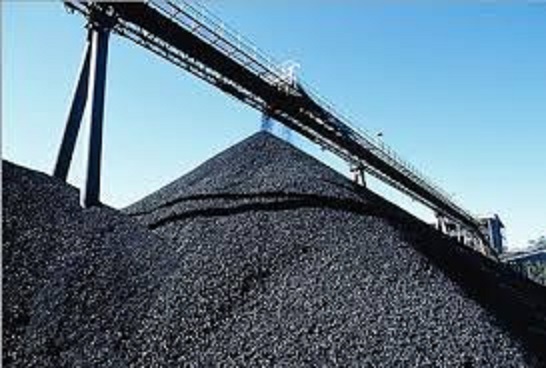 Beginning this coming January Mozambique expects to commence with shipping Mozambique mined coal to Mombasa in Kenya. This was announced by Mozambique’s President Filipe Nyusi during a visit to Mombasa. “The private sector should make use of the opportunities created by the two countries,” President Nyusi told journalists. The iron ore railway between Sishen in the Northern Cape and the port at Saldanha, which carries the majority of South Africa’s iron ore exports and a considerable amount of manganese and other ores, will remain closed to traffic until next Sunday, 9 December after an accident involving an overloaded truck. 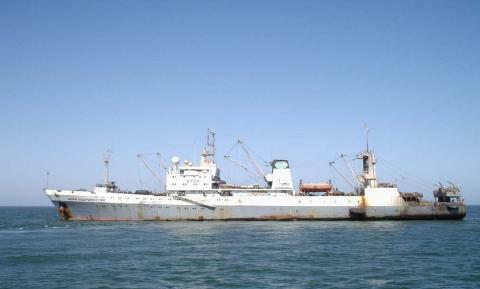 The Department of Environmental Affairs (DEA) says that it welcomes the criminal conviction of the captain of the Ukrainian registered fishing vessel, MORE SODRUZHESTVA (IMO 8724315), who was found guilty of discharging sewage into South African coastal waters. The accused was sentenced to pay a fine of R300,000 or serve 24 months imprisonment of which half was suspended for 5 years on condition that the accused is not convicted of contravening certain other environmental law provisions. Kenya is one of the countries at the highest risk of losing strategic assets to China over the amount of debt owing to Beijing, says a report quoting Moody’s Investor Service. 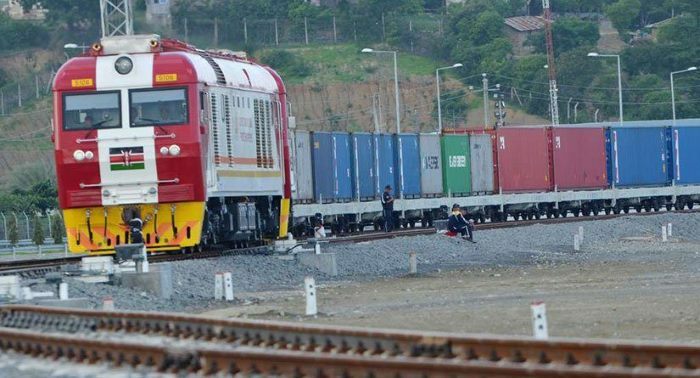 The warning highlights a question that has remained unanswered since the standard gauge railway project in Kenya and Uganda was first announced – how will the East Africa countries manage to pay for its construction. A report issued by the Mozambican National Conservation Areas Administration (ANAC) says that illegal logging is spreading, especially in the north of the country and close to the western border. “Logging takes place in all areas [of conservation] but is worse in the northern and western part of the Niassa Reserve,” Colin Craig, a consultant to ANAC said last week. 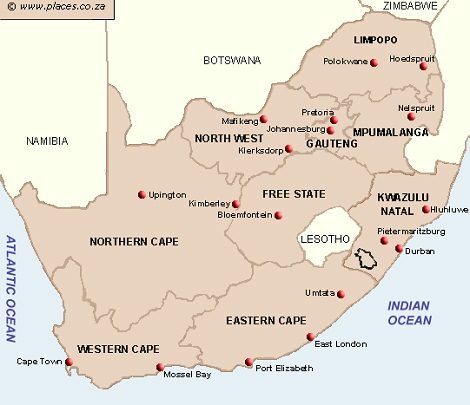 In a speech that will resonate with a great many South Africans, the Eastern Cape premier said that sheer laziness by South Africans could cost them their own economy and country. 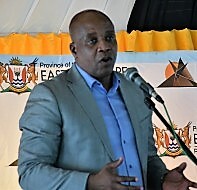 What Premier Phumulo Masualle said while addressing another group of youngsters heading off to work on cruise ships across the world, may not be very palatable among many of us, but he touched on something that many South Africans have taken note of but lacked the opportunity, or courage, to say out loud. Masualle was speaking to a group of young people from Lusikisiki in eastern Pondoland, a rural section of the Eastern Cape not far from Port St Johns. The young people are part of this year’s intake of employees selected for jobs on cruise ships across the world. Sheer laziness among South Africans coupled with an entrenching penchant for particularly government hand-outs could lead to a hefty price to pay – the loss of control of the country to foreigners, Premier Masualle warned. His stern warning was directed at dozens of youths, their parents and community members at a send-off event ahead of the young people heading off to join their ships around the world. 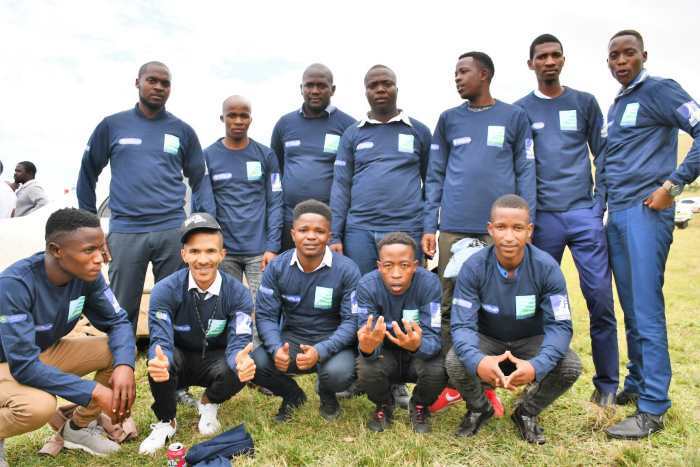 They are part of a group of about 170 young people from several municipal regions in the Eastern Cape that recently received training under the South African Maritime Safety Authority (SAMSA) driven Maritime Youth Development Programme (MYDP) initiated two years ago in partnership with Harambe, a non-governmental outfit based in Johannesburg. The Eastern Cape leg of the initiative is sponsored by the Office of the Premier of the province. The function was held at Mbotyi in the Ingquza District Municipality which extends along the Wild Coast south of KZN. 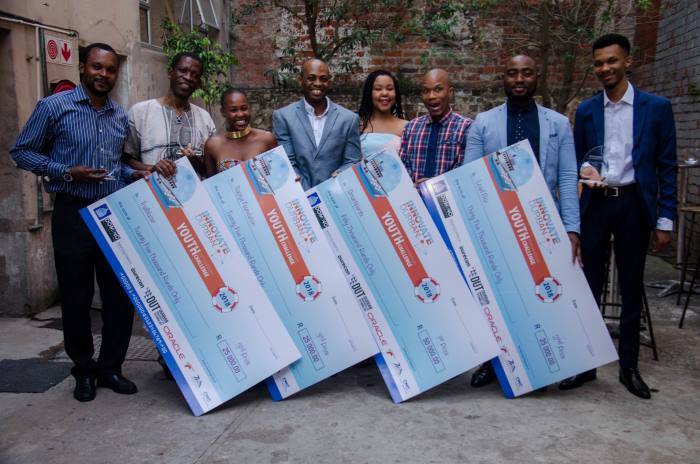 This is the second such group of youths from the Eastern Cape and the third so far after Gauteng, to be trained and found employment by SAMSA in mainly MSC Cruise ships around the world since launch of the MYDP by SAMSA jointly with Harambe in 2016. In his unscripted address to guests delivered entirely in isiXhosa, Mr Masualle pulled no punches and virtually tore into the audience about some of the serious challenges facing South Africa particularly with regards productivity and unemployment. He said while unemployment of particularly youth – estimated at over 40% in the Eastern Cape province alone – was a serious problem, one of the greatest challenges the country should no longer shy way away from what was however an apparent deep-seated laziness among people generally, and which increasingly rested on a self-destructive entrenching penchant for government handouts. Masualle said government’s social security grants and related were already heavily strained as the number of people dependent on them was increasing, yet on the other hand, the economy was struggling, leading to a reduction in tax for collection. Yet rather curiously, he said, when windows in the houses cracked, the average South African, living in a house handed to him or her for free by government, turned around to complain that government was building free houses with breaking windows. “Our people cannot even fix cracks that show in the houses they receive for free. When glass panes break, they blame government for arranging shoddy workmanship. “Truth be told, we are a lazy people,” he added, contrasting South Africans with foreigners from neighbouring countries, who he said, had a strong healthy attitude for work and productivity. As an illustration, he said that while South Africans by and large milled around doing very little in productive terms, an increasing number of foreigners from African countries had taken over and were running just about every trading store, and even spaza [informal] shops both in urban and rural areas all over the country where black people resided. “We need to wake up from the slumber, as otherwise foreigners with the right attitude for work and productivity will take over everything including control of our economy,” Mr Masualle warned. He said South Africans, specifically black people who are in the majority in terms of the population, could not continue to be onlookers in the development of their own country’s economy, and yet they could not be meaningfully involved unless they got up and actively engaged in productive activity that generates self-employment. 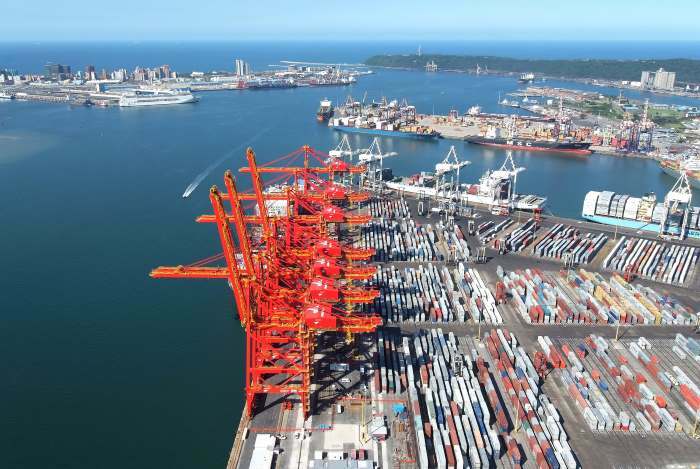 South Africa’s Ports Regulator sprung something of a surprise this morning with the Record of Decision on the Tariff Application by Transnet National Ports Authority (TNPA). On 1 August 2018 TNPA applied to the Ports Regulator of South Africa for approval of the tariffs for services and facilities offered by the NPA of an average increase of 4.21% for the period 1 April 2019 to 31 March 2020. This was together with indicative tariff increases of 18.57% and 6.34% for 2020/21 and 2021/22 respectively. Earlier today (Friday 30 November 2018) the Ports Regulator announced that after considering the application and the written and oral submissions by all stakeholders, and based on latest available data, it had concluded that an appropriate overall adjustment in average tariffs for the financial year 2019/20 is a decrease of 6.27%. The Ports Regulator therefore approved the following specific changes to the Tariff Book, to become effective from 1 April 2019. 1. Marine services and related tariffs (Sections 1-8 of the Tariff Book, excluding Section 7 that deals with cargo dues) are to remain unchanged at 2018/19 levels. 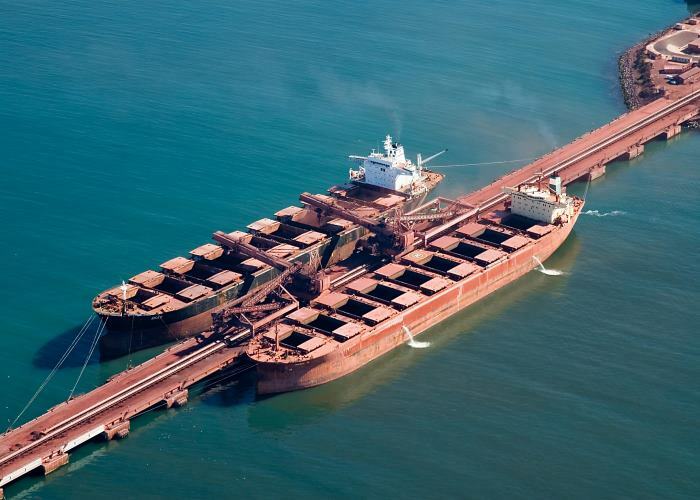 iv) The tariffs below these upper limit caps in the categories above will remain at 2018/19 tariff levels, excluding coal dry bulk export cargo dues as set out above. 3) Commercial vessels registered in 2021/22 will receive a 10% discount up to 31 March 2022. The incentive for South African flagged commercial vessels will thereafter be reviewed. In line with the Multi-Year Tariff Manual of March 2017 the Ports Regulator projects that the indicative overall average tariff adjustment for the 2020/21 and 2021/22 tariff years will be below the 6% upper limit of the inflation target band. 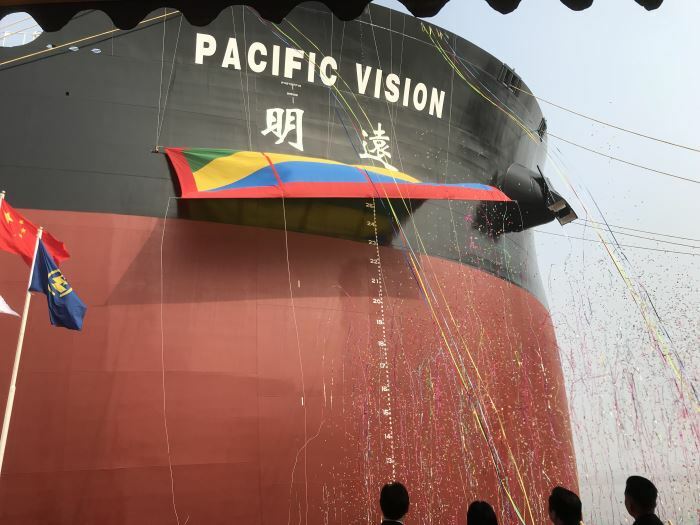 The world’s first intelligent very large ore carrier (iVLOC), the DNV GL-classed PACIFIC VISION (IMO 9806990), was delivered by Shanghai Waigaoqiao Shipyard to China Merchants Energy Shipping Company. The vessel is the world’s first VLOC to implement DNV GL’s SmartShip descriptive notation. To qualify for the notation, Pacific Vision has been outfitted with an integration platform, a smart navigation decision support system, a ship energy efficiency management and optimization system, and smart-vessel operation and maintenance system. 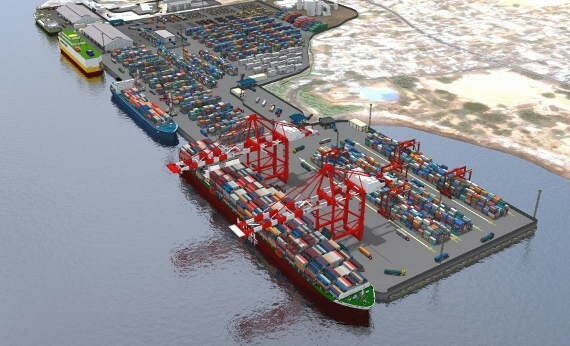 The Namibian Ports Authority (Namport) and the International University of Namibia (IUM) Coastal Campus last week signed a Memorandum of Agreement (MoA) were both institutions will work together to ensure that students from the University get experiential exposure at the Port of Walvis Bay in their relevant fields of studies. 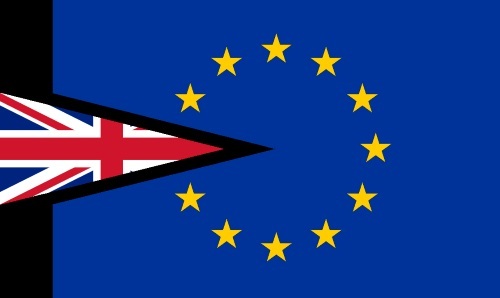 On 27 June 2018, the House of Commons Treasury Committee requested that the Bank of England publish analysis of how leaving the European Union would affect its ability to deliver its objectives for monetary and financial stability. 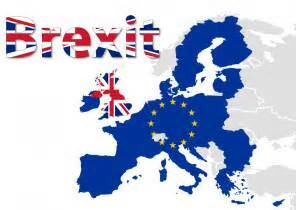 The report* was published on 28 November and analyses the economic effects of the Withdrawal Agreement and the Political Declaration regarding the future relationship between the EU and the UK, as well as the consequences of leaving the EU without a Withdrawal Agreement. Analysis by the Bank includes scenarios not forecasts. They illustrate what could happen not necessarily what is most likely to happen. Building such scenarios requires making key assumptions about the form of the new relationship between the UK and EU, the degree of preparedness across firms and critical infrastructure, and how other policies respond. The South African ports under the jurisdiction of Transnet National Ports Authority (TNPA) have been holding their annual ports festivals, which made a return a year ago as opportunities for the general public to renew acquaintances with the respective ports. 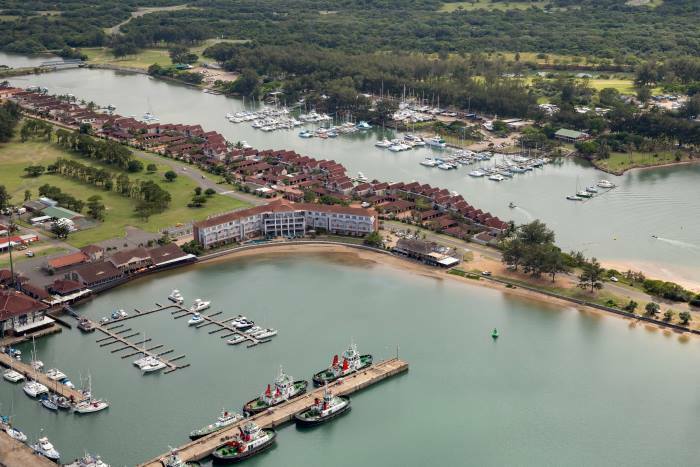 Coming up it is now the turn of Richards Bay in Zululand, KZN where the 2018 festive season is set to kick-off in style with the 2018 Richards Bay Port Festival, hosted in the port by TNPA on 8 and 9 December. The popular event will be celebrated under the theme ‘Connecting Port & People’. Nationally, port festivals are part of TNPA’s efforts to transform the country’s commercial ports into ‘Smart People’s Ports’ with a focus on community engagement, tourism, leisure, recreation, and career and business opportunities. These were once regular events attracting thousands of visitors, until the advent of the ISPS code of safety for ports which since 2004 has placed limitations on public interaction with ports. The two-day festival will offer local communities’ a rare chance to see the inner-workings of the Port of Richards Bay through a range of fun, educational landside and waterside activities that showcase some of the incredible technology, machinery and maritime experiences offered by the port. 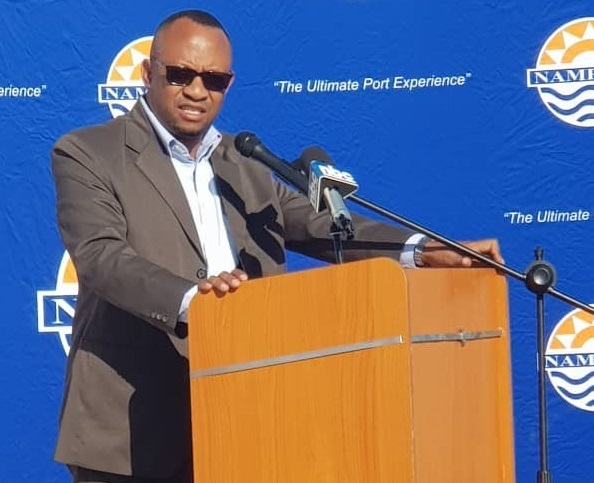 Richards Bay Port Manager, Thami Sithole, said the 2018 Richards Bay Port Festival presents the perfect backdrop for people to connect with the port in an interactive and fun way, while also learning about port operations and the various career and business opportunities within the maritime industry. “We promise to offer unique and exciting port experiences at this year’s festival, with something for everyone. We are excited to showcase the port to our communities, particularly the youngsters,” added Sithole. Planned activities include a careers exhibition, kiddies’ entertainment area, tours of the Ilembe (dredger), tug boats and other TNPA marine crafts, jet ski and NSIR sea rescue demonstrations, SANDF demonstrations plus food stalls and vendors. Visitors can also look forward to live entertainment by national and local artists and DJs. There is no entry fee to attend the festival. Most of the festival activities are free, with a few requiring a nominal ticket purchase directly from these vendors. Food and beverages will be on sale in different areas throughout the festival. The festival area will be a pedestrian only zone and shuttles will be available from the designated parking areas. Gates open at 10am to 8pm on Saturday, 8 December and 10am – 5pm on Sunday, 9 December. Bolloré Ports has announced that work has been completed on Sierra Leone’s Freetown Terminal for which it holds the concession. Work was in fact completed ahead of schedule several months ago, which involved the development of an additional 270 metres of the Queen Elizabeth II Quay and its container terminal. To mark the official opening of the new US$120 millionth section of the container terminal President Julius Maada Bio of the Republic of Sierra Leone and Cyrille Bolloré, CEO of Bolloré Transport & Logistics, attended the official ceremony. 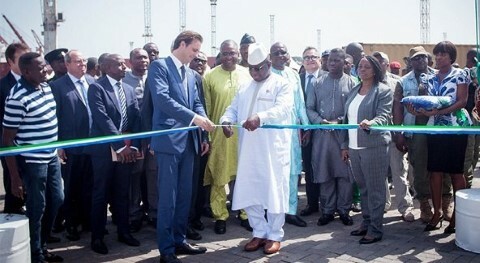 Bolloré Ports was the successful bidder for the international tender launched by the Sierra Leone authorities in March 2011, which is aimed at bringing the Freetown Terminal up to the highest international standards. Included in the project was the refurbishment of existing yards, which were upgraded with modern equipment such as ship-to shore (STS) cranes, rubber-tyred gantry cranes (RTGs) and reachstackers. As a result of acquiring the new equipment an increase in traffic of over 30% has been made noted. The new terminal section has, apart from its 270-metre long quay, a depth alongside of -13 metres and the capacity to accommodate ships of up to 6,000-TEU capacity. 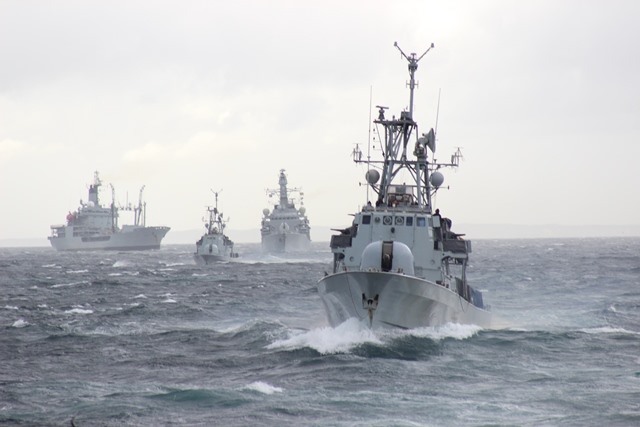 10 years of counter-piracy operations has seen successful outcomes resulting from the partnerships between military navies and commercial shipping working closely together. Key to this success is the bi-annual Shared Awareness and De-confliction (SHADE) conference with the 43rd meeting having just completed. Standford Bateleur (on left). The other vessel is the MMPL Merlin. Picture courtesy: Shipspotting. 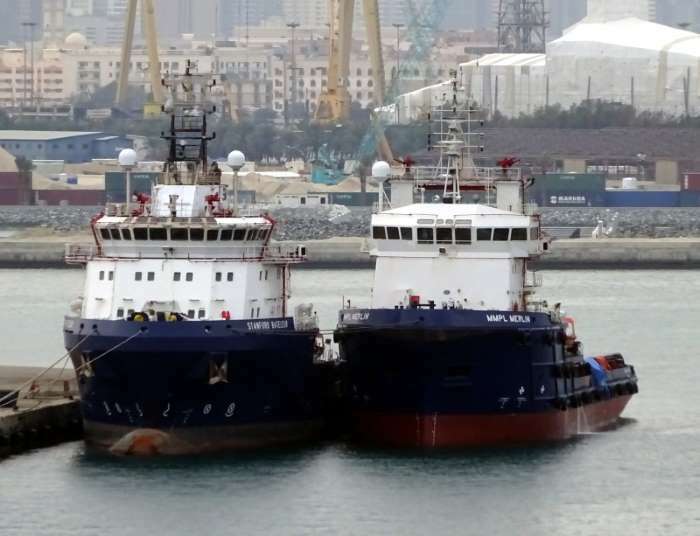 Two UAE-registered exploration vessels arrived in Malindi harbour in Unguja (Tanzania) on Saturday to begin seismic surveys for oil and gas. The two vessels, the seismic survey ship STANFORD BATELEUR (IMO 9654177) and the support vessel HAIBA will commence surveying the waters between Unguja and Pemba Island. The larger of the two, Standford Bateleur is 86 metres in length and 5188-dwt and is Mexican owned and ship managed. Her ISM manager is Standford Marine registered in Dubai. The smaller 25-metre Haiba is to be used for recording the sound waves generated by the bigger vessel. A third vessel has been charted to act as a security vessel and to keep the path used for the surveys clear of other traffic. Zanzibar Petroleum Regulatory Authority director Omar Zubeir said the vessels might begin their operations today (Thursday) dependent on government procedures to be completed. House of Commons Public Accounts Committee (PAC) is concerned by slow progress and poor communication around Project Brock*. There is a real risk that the UK Department for Transport will not be ready in the event of the UK departing the EU without a negotiated deal, and this risk is increasing as time runs out to deliver what is needed. This latest PAC report is in a series looking at Government’s preparations for Brexit. As in previous PAC reports on border preparations, customs, Department for Environment, Food and Rural Affairs and the Department for Business, Energy and Industrial Strategy, the Committee is concerned about how well Government is prepared. 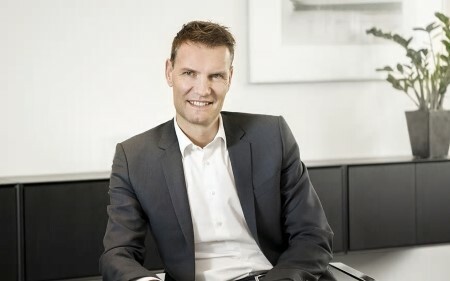 Xeneta, which provides freight rate benchmarking platforms and reports in real time on market average and low/high movements in its database covering over 160,000 global trade routes, is utilising its database of over 85 million contracted freight rates to deliver a unique monthly snapshot of long-term rate developments in the container industry. The new Xeneta Shipping Index (XSI™) Public Indices report, launching today (Wednesday 28 November 2018), provides a detailed overview of the busiest global trade corridors, allowing users to gauge regional developments and track trends for key markets. In June this year Oslo-headquartered Xeneta debuted the full version of the XSI index-linked contracting product. It enables cargo buyers and sellers to gain unparalleled real-time intelligence of market developments, meaning they can tie rates to the market. This results in fair rates, optimal value for shippers, forwarders and carriers, and an end to the burden of frequent or periodic contract negotiations. Project Hotel, the design and building of the South African Navy’s new hydrographic survey ship, has its steel cutting ceremony this Friday. The commmorative function, which will see the Chief of the Navy press the button to commence the steel cutting for the ‘keel’ of the ship, will take place at the Southern African Shipyards in Durban at 14h00. Project Hotel involves the most complex and technically advanced vessel that has ever been built in this country. 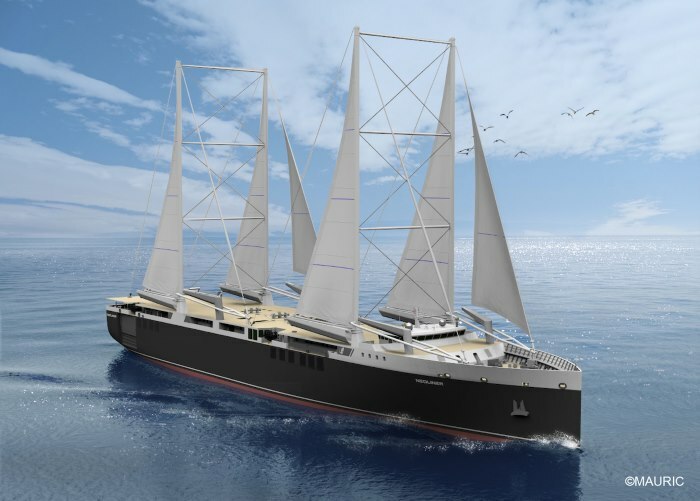 The ship will be to a Vard Marine design, with a length of 95 metres and a diesel-electric power plant that will provide the ship with a maximum speed of 18 knots and a range of 10,000 nautical miles with 44 days endurance. 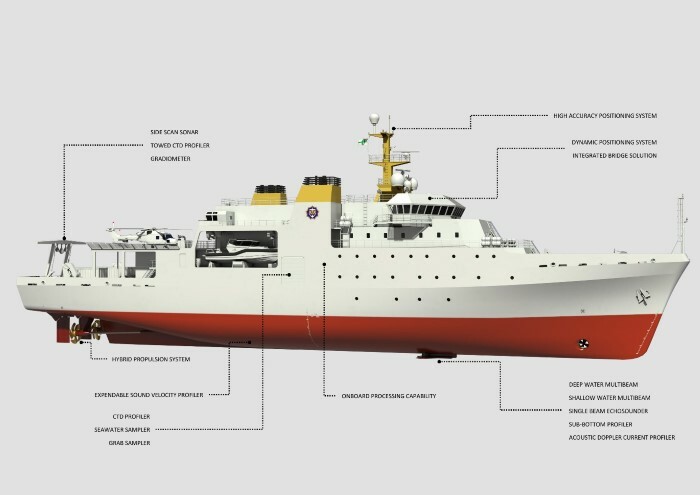 The ship will be ice-strengthened to meet Polar Class 7 requirements. AS yet with no name announced, the ship will have installed the latest hydrographic and oceanographic sensor suite and will be manned by a crew of 120 navy and scientist personnel. “The ship will scan the ocean floor, mapping large areas of the southern hemisphere ocean floor. 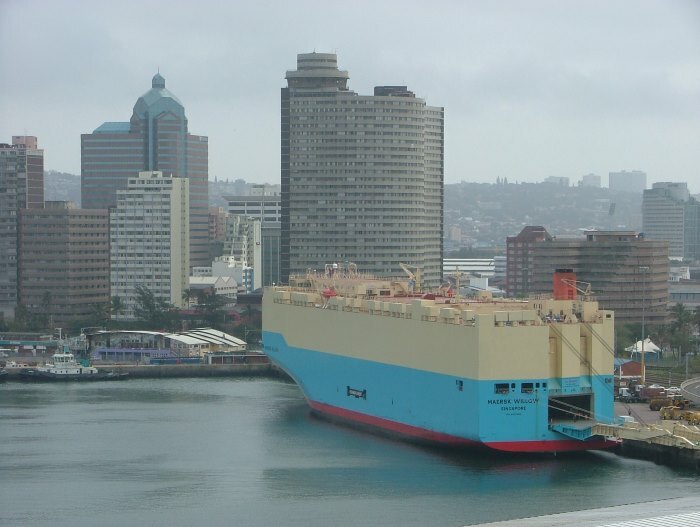 The vessel is aligned with IMO requirements to provide SA Navigational Charts for the South African coastline as well as the capacity to carry it out to other countries,” said Greg Delpaul, Southern African Shipyards’ general manager of shipbuilding. The new ship will replace SAS PROTEA, the SA Navy’s current hydrographic survey ship which has been in service since 1972. SAS was awarded the contract for Project Hotel in December 2017 and will employ a number of sub-contractors who will integrate various systems into the new ship. All these will be based at the SAS Bayhead works during the project, which is expected to take 40 months. The project will mean work for about 500 people including apprentices, artisans, technicians, engineering interns and engineers in different disciplines who will be hired for this special project. Armscor and the SA Navy already have trainees and interns at the shipyard. In addition to the steel cutting for the navy ship, a similar ceremony will also take place at the same time for cutting the first steel plate for a LNG barge to be built at the shipyard. The 3,500-ton barge is being built for DNG Energy, a South African-based company in the energy industry. Work will start on the 147 metre long barge early in the New Year and will take about 12 months to complete. Construction will be at the same time as building the hydrographic survey ship with space at the shipyard being utilised optimally. * See our report available in this edition DCT BERTH DEEPENING ON HOLD AS TRANSNET ISSUES STOP WORK ORDER. Transnet Port Terminals’ (TPT) Saldanha has increased its headcount by 300% over the past five years owing to a rise in the export of additional commodities like manganese, cementing the facility’s significance to the country. 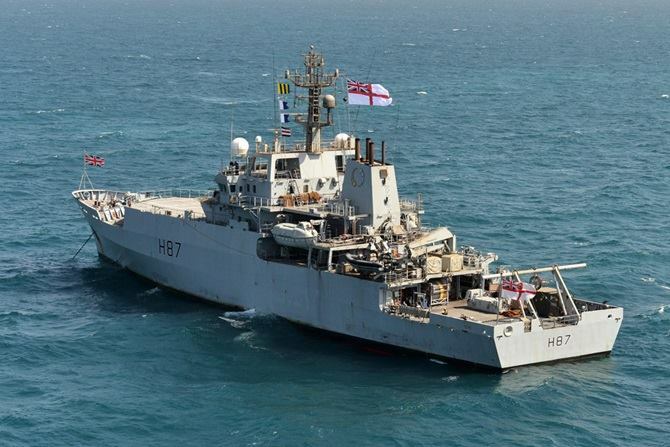 HMS Dragon, a Royal Navy Type 45 Destroyer has interdicted 3048kg of hashish from a dhow acting suspiciously in the Indian Ocean, along an area known as ‘The Hash Highway,’ reports the Combined Maritime Forces (CMF). 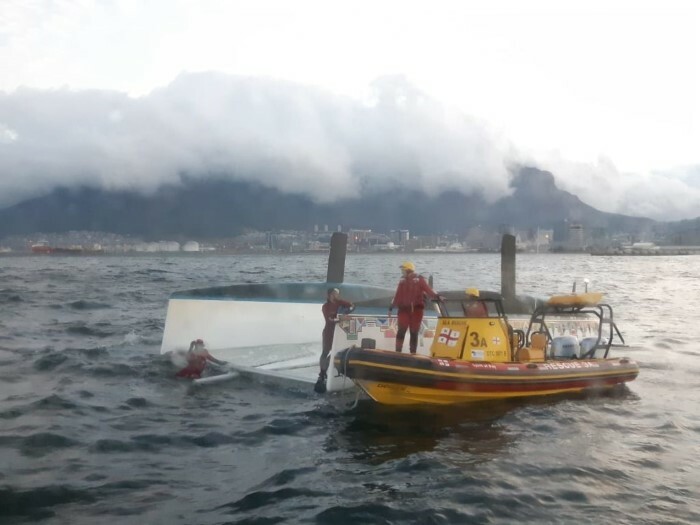 The South African Maritime Safety Authority (SAMSA) has launched an investigation into the capsizing of the sunset cruise Catamaran, ESCAPE CAT, in Table Bay on the evening of Monday, 26 November 2018. SAMSA spokesman Sobantu Tilayi, SAMSA COO says the organisation would urgently look into why the Escape Cat had overturned and would report back as soon as possible. “Fortunately there was no loss of life, but SAMSA is always concerned when something like this occurs. Our investigators will be talking to everyone concerned to ensure we avoid a repeat,” he says. Three South Africans – the skipper and two crew members – and five passengers from the United Kingdom (two males and three females) were treated for non-threatening injuries and or mild hypothermia following the accident. They were transported to Cape Town Medi-Clinic as a precaution. 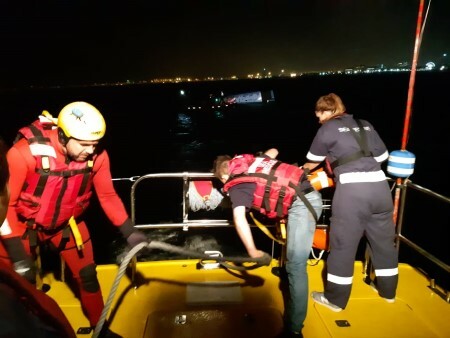 The vessel was secured by the NSRI on a three-anchor spread outside the outer breakwater. The vessel was to be towed into port following the removal of the mainsail, jib and mast and righted once alongside Jetty No 2. The NSRI Table Bay Station provided additional information soon after the incident, reporting that they had used two rescue craft to go to the assistance of the catamaran and that following the operation that saw all eight survivors safely rescued, they towed the capsized catamaran to Granger Bay outside the harbour entrance where it was secured for the night. Lights were secured to mark the navigational hazard and prevent any collision. 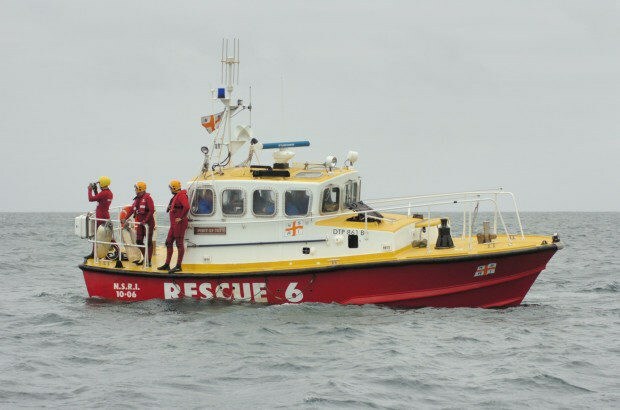 Prior to that the NSRI had responded to the news that the catamaran had capsized with people on board. On arrival at the scene they found eight persons – three local males and five tourists from the UK (two males and three females) on the upturned hull. All were wearing life jackets but it turned out that one of the tourists had been below decks when the boat flipped leaving her trapped inside the galley with a rapidly diminishing pocket of air. From what the NSRI has been able to gather, the skipper of the Catamaran had free dived under the catamaran and was able to bring the mom out from below decks. The NSRI commended the skipper for this action. Another female suffered a fractured shoulder and has had to receive treatment at the hospital where all five tourists were taken. Others were bruised and shaken up but following their care at the hospital were able to return to their guest lodge. On hearing the news the owner of the lodge had meanwhile taken a taxi to the hospital to check on her guests. After having secured the capsized catamaran for the night the NSRI Table Bay coxswain Pat van Eyssen and station commander Quentin Botha also drove to the hospital at 23h55 and transported the five patients and guest lodge owner to the guest lodge. 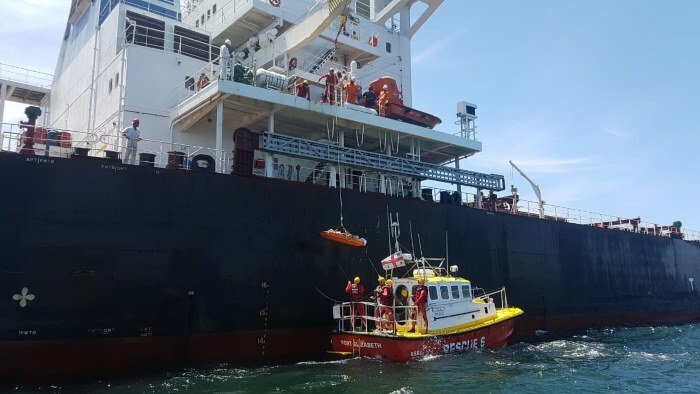 Another medical emergency at sea involving a seaman on board a passing ship has seen the National Sea Rescue Institute (NSRI) responding to rendezvous with the bulk carrier 34 nautical miles south-east of Port Elizabeth. Teesside, UK/Rothera Point, Antarctica, 26 November 2018: For the Trans Global Projects Group (TGP), no location is too remote. But while the UK-based international project logistics specialist has handled numerous projects in some of the most inaccessible locations around the globe, even for industry professionals, Antarctica is a unique and challenging destination to serve. TGP was awarded the contract for project logistics management for a shipment of equipment and construction materials to the British Antarctic Survey’s (BAS) Rothera Research Station at Rothera Point by BAM. The global construction and civil engineering company is in charge of removing Rothera Point’s old wharf and building a new one. The facility is to accommodate the UK’s new state-of-the-art polar research vessel, RRS Sir David Attenborough. Serving as a UK Hub for polar science, Rothera is located 900 miles south of the tip of South America on Adelaide Island, which is along the western coast of the Antarctic Peninsula. While Antarctica has the coldest and one of the harshest climates on Earth, it also has unique and sensitive ecosystems that can be threatened by the incursion of non-native species of plants and animals. The biggest logistical challenge facing the TGP team was ensuring the shipment headed for Rothera remained completely contamination-free and in compliance with the British Antarctic Survey Biosecurity Handbook and The Polar Code, which was enacted to minimise the risk of nonnative species being introduced to the Antarctic continent. However, the Rothera project team faced another major challenge: no construction equipment or material is available on-site in Rothera. It is fair to say that this might be the most remote construction site in the world. 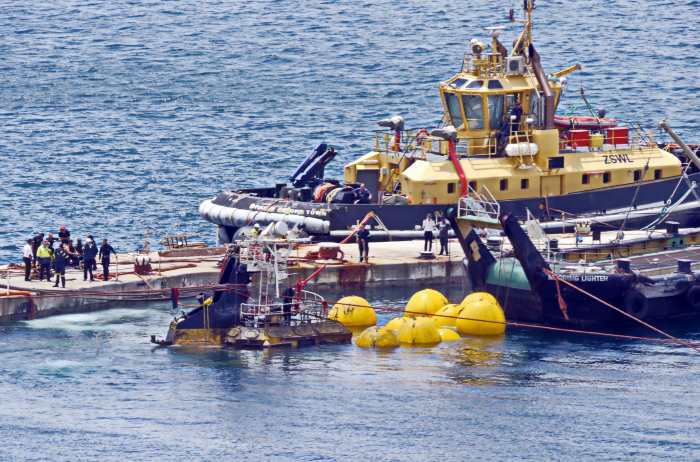 This therefore necessitated TGP to work hand-in-hand with BAM to consolidate, prepare and ship almost all the supplies and equipment necessary for the wharf removal and re-construction at the research base on a single vessel charter. Over the course of several weeks in late October and November, a team of Trans Global Projects experts worked at a specially prepared site to direct all aspects of the decontamination and loading procedures at AV Dawson facilities at Teesport in Teesside, UK, which is well equipped to handle such extensive cargo treatments. The decontamination process for the Rothera shipment was multi-faceted and exhaustive. Firstly, the Teesport biosecure facility underwent deep cleaning directly prior to commencement of receiving cargo. This specially scheduled cleaning of the facility was conducted in addition to a maintenance schedule of spraying insecticides, pesticides and herbicides in and around the facility on top of the manual inspection for and removal of weeds, rodents, insects and other pests. Secondly, all cargo intended for the November shipment to Rothera Research Station was inspected upon arrival and then washed using ultra high-pressure water jets. This decontamination process developed by TGP for this shipment is unique in its scope. “As far as we are aware, this project represents the first time such stringent export procedures have been carried out at a UK port facility,” explains Charnock. The cargo, where deemed necessary, was additionally treated with residual insecticide solutions. 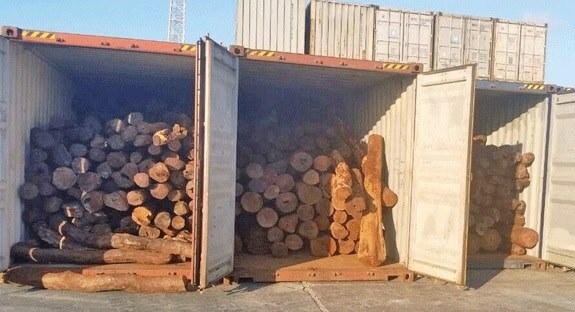 All containers and loading equipment underwent fumigation, and only timber compliant with the International Standards for Phytosanitary Measures No. 15 (ISPM15) was used for export packing. The shipment departed from Teesside, UK, on 22 November for a 9,600-mile trip to Rothera – a journey estimated to take approximately four to five weeks. The largest pieces were two 300-tonne crawler crane cabs. 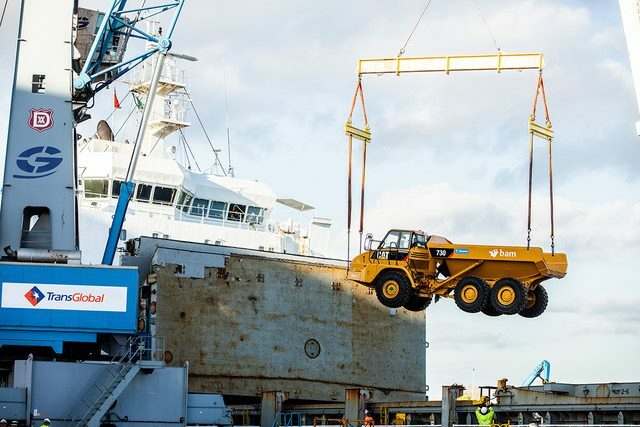 Overall 13,000 cbm + 85 containers of cargo were prepared and loaded on board the vessel, an F-Type multipurpose ship geared with two 125 mt cranes combinable to lift up to 250 mt and featuring a Polar Class PC7 certification (which corresponds to Finnish-Swedish lce Class 1A). The vessel itself also underwent a similar decontamination process in accordance with the biosecurity plan implemented by Trans Global Projects. During the short Antarctic summer, temperatures typically range between 0 to +5 degrees Celsius. However, it can snow at any time of year and because of its coastal location and the Southern Ocean low-pressure weather systems, temperatures can vary widely at any time. There is usually sea ice restricting sea traffic to the continent through to the end of November. Since Rothera Research Station is just south of the Antarctic Circle, both the vessel’s crew and the Rothera team will be able to take advantage of 24hours of summertime daylight to unload the cargo. Ghana has announced plans of developing the Port of Takoradi as a oil and gas hub. 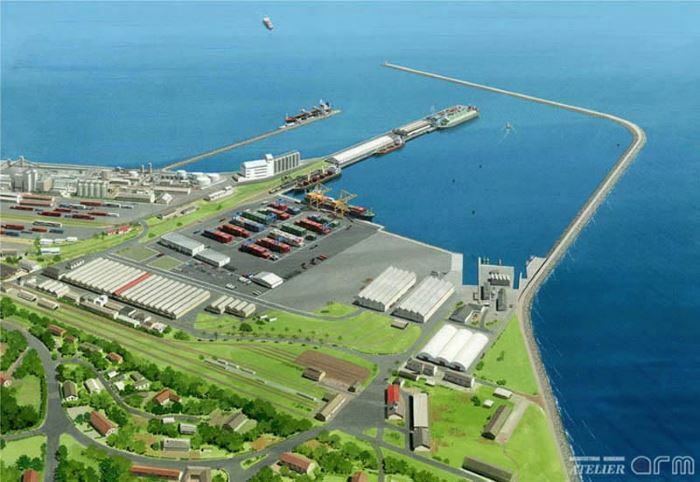 This was announced by the Ghana Minister of Finance, Ken Ofori, who said that work has already begun on developing a container and multi-purpose terminal facility at Takoradi which would have a draught clearance of -16 metres. 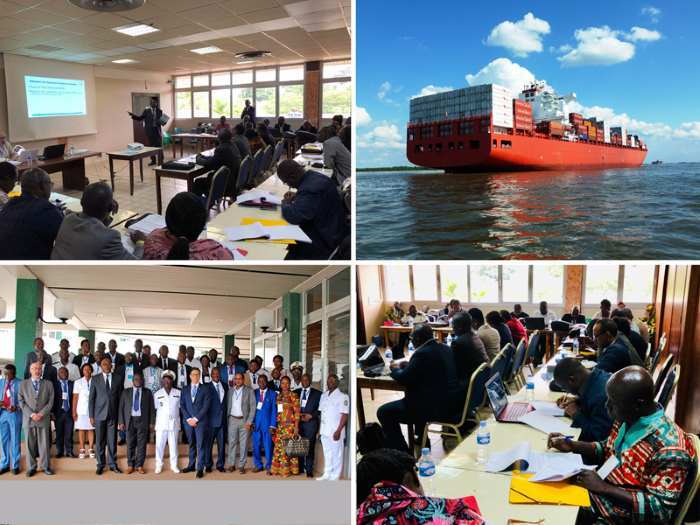 Eleven francophone African countries* have agreed on an action plan to better implement IMO’s key treaty on prevention of pollution from ships – the MARPOL Convention, Annexes I-V, reports the International Maritime Organization (IMO). 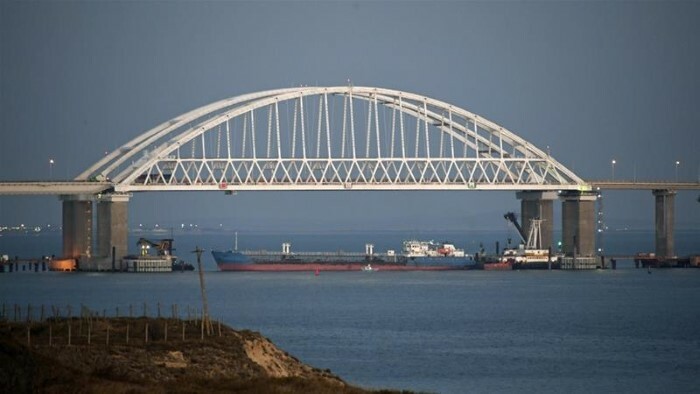 Tensions have been raised once more in the disagreements between Russia and the Ukraine after Russia used a commercial bulk carrier to block access to three Ukraine Navy ships attempting to enter the Sea of Azov. The Subtech Group, part of James Fisher and Sons plc, has been awarded multi-million dollar contracts with a major oil and gas contractor, supporting a number of offshore and subsea projects across the Middle East. In 2015, the Board and Management of Ghana Ports and Harbours Authority (GPHA) took the decision to build another terminal at Tema harbour. The decision was based on the need for a new automated terminal that increased the volume and efficiency of operations at the harbour. 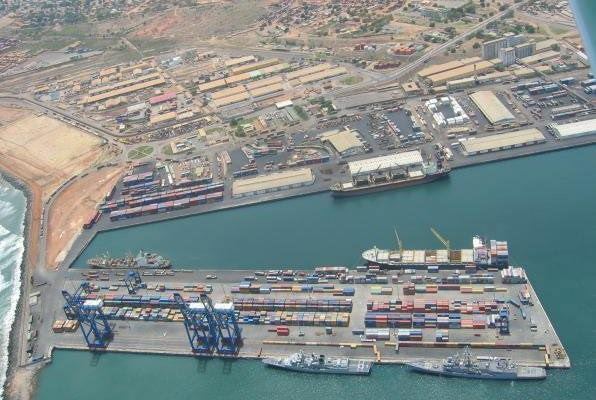 Its successful completion would make Tema a competitive global shipping hub. Not only was this necessitated by the global trend towards automation and competition but also the growth in population, increased economic activity and the corresponding lifestyle choices of Ghanaians as a result of economic growth. 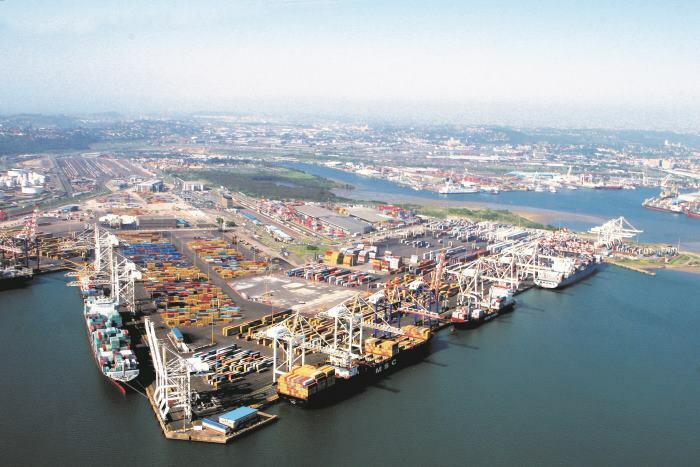 Work on deepening and lenthening the North Quay on Pier 2, Durban Container Terminal has been dealt a blow following an order to stop work that has been issued by Transnet. The project to deepen and lengthen berths 203, 204 and 205 at DCT – need to handle large container ships with full loads – had only recently received the green light but now, in the aftermath of the dismissal of former chief executive Siyabonga Gama, and enquiries into the extent of corruptive practices at Transnet, the board of Transnet SOC Ltd last week issued a stop work instruction on the Main marine Construction works contract of the Durban Container Terminal (DCT) Pier 2’s North Quay berth deepening and lengthening project. The contract for the multi-billion-rand Main Marine Construction Works package of the project was awarded to CMI Emtateni Joint Venture, following an open tender process that started in January 2017 and closed on 22 August 2017. It was reported by the International Transport Forum (ITF) in week commencing 18 November, that 20% of global road deaths occur in Africa, although the continent only has 2% of the world’s vehicles. A key concern for policy makers tackling this crisis is the lack of data on road crashes. If anything, the total number of road deaths is significantly underreported. Collecting and analysing accurate data that can inform policy requires harmonised and rigorous collection methods. The National Sea Rescue Institute, which maintains rescue stations around the long South Africa coast, is kept constantly busy with calls for assistance that often includes crisis such as drownings or near drownings at the country’s beaches, or people missing in the water or on nearby land, or injured during trail walking or, as in the cases reported here, with medical evacuations from ships and other vessels at sea. At 02h00 on Wednesday, 21 November, reports Geoff McGregor, NSRI East London station commander, the NSRI East London duty crew were activated by the Transnet National Ports Authority (TNPA) following a request for medical assistance for a crewman on board a passing bulk carrier. A 200 metre bulk tanker, then still some distance from East London after having sailed from Port Elizabeth, had been instructed to come towards the Port of East London by MRCC working in conjunction with Telkom Maritime Radio Services. This was after a Government Health EMS duty doctor evaluated the Vietnamese patient as suffering suspected appendicitis. At 05h00 that morning the NSRI East London sea rescue craft Spirit of Lotto was launched and rendezvoused with the ship in the outer anchorage of East London where the patient was transferred to the sea rescue craft and brought safely to shore in a stable condition. He was then taken by ambulance to a local hospital in a stable condition for further treatment. Lyall Pringle, NSRI Hout Bay station commander reports that at 14h05, Thursday 22 November, the NSRI Hout Bay duty crew were alerted by the TNPA to a fishing vessel heading towards Hout Bay harbour and requiring an ambulance on arrival for a fisherman, a local male, who was suffering breathing difficulties. The NSRI Hout Bay prepared to meet the fishing vessel on her arrival and MRCC (Maritime Rescue Coordination Centre) were alerted while in the meantime a Government Health EMS duty doctor evaluated the patient’s condition which was deemed to be intermediate and not urgent. As a result the Metro EMS Control dispatched an ER24 ambulance to the NSRI Hout Bay station to assist on the vessel’s arrival in harbour. It was then established that the patient’ condition had escalated to a reduced level of consciousness and NSRI Hout Bay launched the sea rescue craft Albie Matthews accompanied by an ER24 rescue paramedic and rendezvoused with the fishing vessel five nautical miles from Hout Bay harbour. The patient was transferred onto the sea rescue craft in a serious condition and in the care of the ER24 rescue paramedic he was brought to Hout Bay harbour and from there transported by ER24 ambulance to hospital in a serious but stable condition. On the following day, Friday 23 November, Geoff Stevens, NSRI Hout Bay deputy station commander, reported that at 17h35 that day the NSRI Hout Bay duty crew were alerted by the TNPA following a request for medical assistance from a fishing vessel heading towards Hout Bay harbour from 40 nautical miles West of Hout Bay. On board was a fisherman who had suffered an amputated left thumb while working with machinery onboard. The sea rescue craft Albie Matthews and Nadine Gordimer were launched accompanied by two WC Government Health EMS rescue paramedics. On rendezvousing with the fishing vessel 25 nautical miles West of Hout Bay, and in two to three metre swells, medical crew boarded the fishing vessel where the patient was treated before being transferred onto the sea rescue craft Nadine Gordimer. In the care of the EMS rescue paramedics he was brought to Hout Bay harbour and transported to hospital by an EMS ambulance in a serious but stable condition. On Saturday 24 November, at 08h45, reports Ian Gray, NSRI Port Elizabeth station commander, the NSRI Port Elizabeth duty crew were activated by TNPA following a request for medical assistance from an oil tanker which was at anchorage off-shore in Algoa Bay. 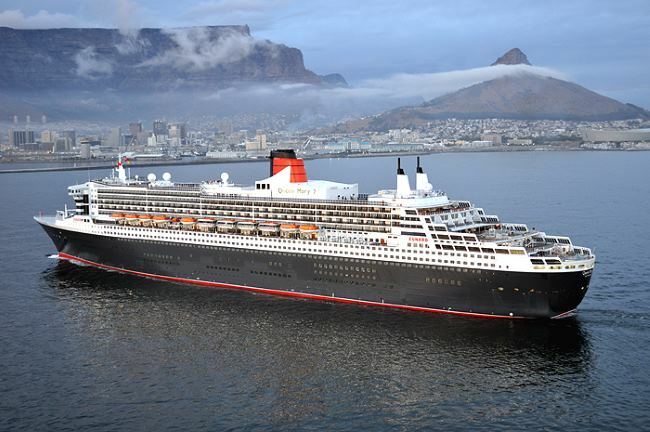 Two crewmen had been injured in a fall onboard the ship. Maritime Rescue Coordination Centre (MRCC) arranged a Government Health EMS duty doctor to evaluate the condition of the two patients while the NSRI launched the sea rescue craft Spirit of Toft and JLK Rescuer and accompanied by EC Government Health EMS rescue paramedics, they headed out into Algoa Bay. On arrival on scene NSRI and EMS crew went onboard the ship and taken by the ship’s crew to the patients in the ship’s sick bay> One patient was found to be in a satisfactory condition with only scratches and bruising and not requiring further medical care awhile the other, an Indian crewman, was found to have more serious injuries. The patient was treated for his injuries and stabilised before being secured into a Stokes basket stretcher and transferred onto the sea rescue craft using the ships crane. The patient was then taken to the sea rescue station in the care of the EMS rescue paramedics and from there transported by ambulance to hospital in a stable but serious condition. 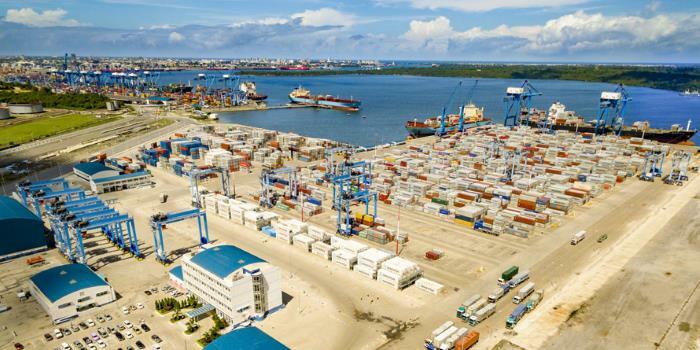 The Port of Mombasa is set to reaffirm its position as the second busiest general cargo port* in sub-Saharan Africa with a forecast of exceeding 31 million tonnes of cargo throughput by the end of 2018. As part of that volume Mombasa will have handled 1.2 million container TEUs for the year, up from the 1.190 million TEUs recorded in 2017. Last year the port handled a total cargo volume of 30.35mt. Acting Kenya Ports Authority managing director, Dr Arch Daniel Manduku said the port was continuing to register growth despite several challenges. “At KPA the management team and staff reviewed the set goals and agreed to walk the talk and deliver our remit the best way we could,” Manduku said. 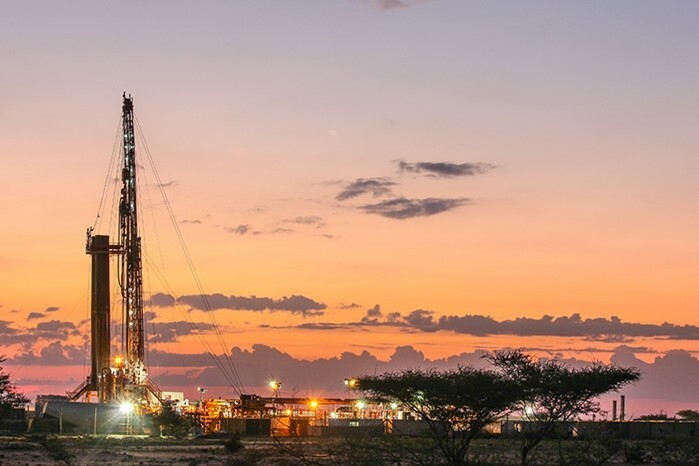 Tullow Oil, which is operating in Uganda and in Kenya, reports that to date, in a period of five and a half months, it has transported a total; of 30,000 barrels of oil to the port at Mombasa. The first lifting of sweet Kenyan crude oil stored in Mombasa is expected in the second quarter of 2019. 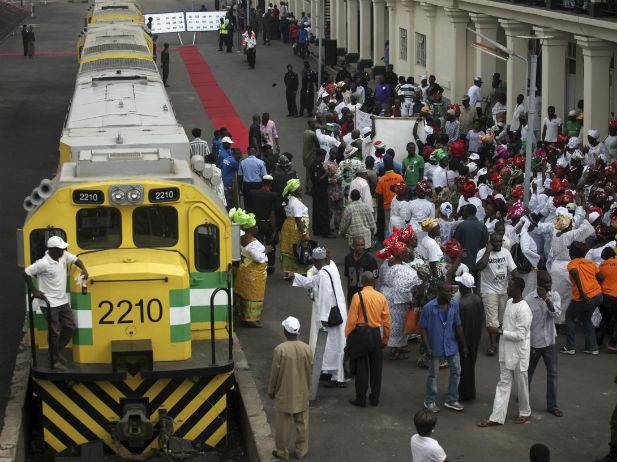 Transnet has confirmed reports including that in Africa PORTS & SHIPS – see here GE PULLS OUT OF NIGERIAN RAIL CONCESSION – HANDS OVER TO TRANSNET – about Transnet taking the lead in the Nigerian Capegauge railway network. Transnet and its consortium partners were selected as preferred bidders in May 2017. The South African Revenue Service (SARS) on Friday destroyed several imported illegal vehicles valued close to R4 million as part of a clampdown on non-compliance in various customs sectors. This followed a two-day inter-governmental operation in Durban and the surrounding areas to tackle illicit trade. The operation got underway on Tuesday. 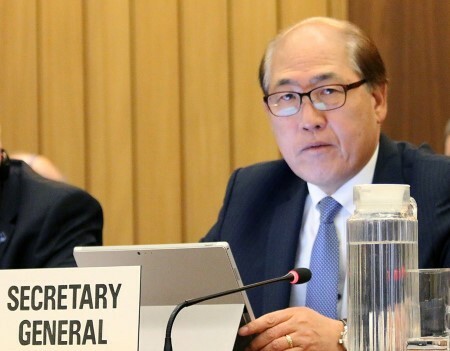 The IMO Council has agreed to renew the appointment of Kitack Lim as Secretary-General of the IMO for a second four-year term, beginning 1 January 2020, subject to the approval of the IMO Assembly in December 2019. This was reported by IMO on 23 November. Mr Lim was born in Masan, Gyeongsangnam-do, in the Republic of Korea. He majored in nautical science at the Korea Maritime and Ocean University (KMOU), Busan, graduating in 1977. He worked on ships as a Korean naval officer and for an international shipping company. He joined the Korea Maritime and Port Administration in 1985, while continuing with further studies at the Graduate School of Administration, Yonsei University, obtaining a Master’s Degree in 1990. He then studied maritime administration at the World Maritime University (WMU), graduating with a master’s degree. From 1995 he attended a doctoral programme for international law at KMOU, completing course work in 1998. Mr Lim began attending IMO meetings as part of the Republic of Korea’s delegation in 1986 and he engaged in activities to promote maritime safety through effective implementation of IMO conventions in his country and other IMO Member States in the Asian region. He was elected Chair of IMO’s Sub-Committee on Flag State Implementation (FSI – now III) in 2001 and of the Tokyo Memorandum on Port State Control in 2004. In 2006, Mr Lim was appointed Director General of the Maritime Safety Bureau of the Ministry of Land, Transport and Maritime Affairs (MLTM) and then as a Senior Maritime Attaché at the Embassy of the Republic of Korea in London and led all IMO work for the Republic of Korea, serving as an Alternate Permanent Representative to IMO up to August 2009. Following that, he was re-appointed Director General for Maritime Safety Bureau (MLTM). In March 2011, Mr Lim was appointed Commissioner of the Korean Maritime Safety Tribunal (KMST). In July 2012, he assumed the position of President of Busan Port Authority, until January 2016 when he took up his appointment as Secretary-General of IMO.